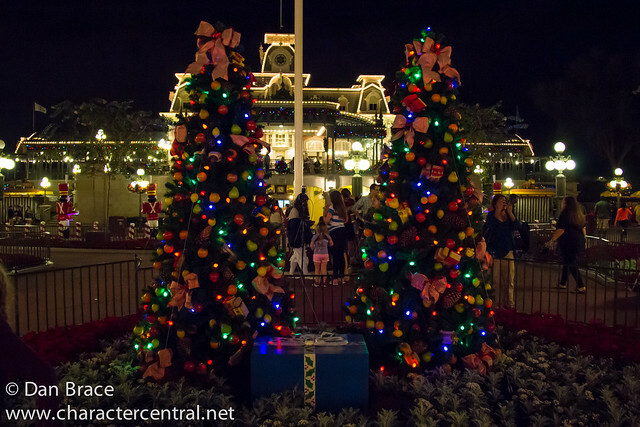 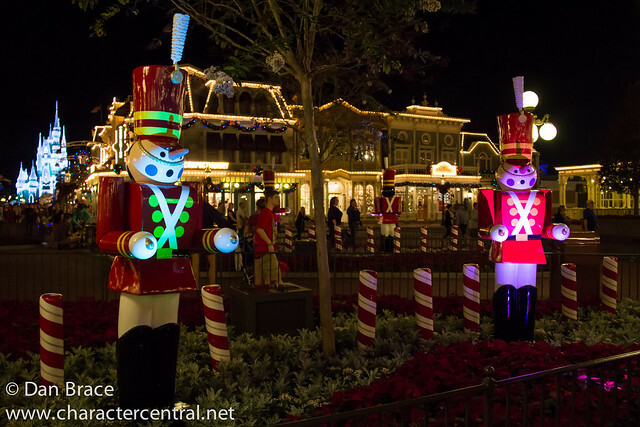 Last week Jon and I were in Walt Disney World, and while there we took in all the wonderful festive offerings at the Magic Kingdom, including three Mickey's Very Merry Christmas Parties. 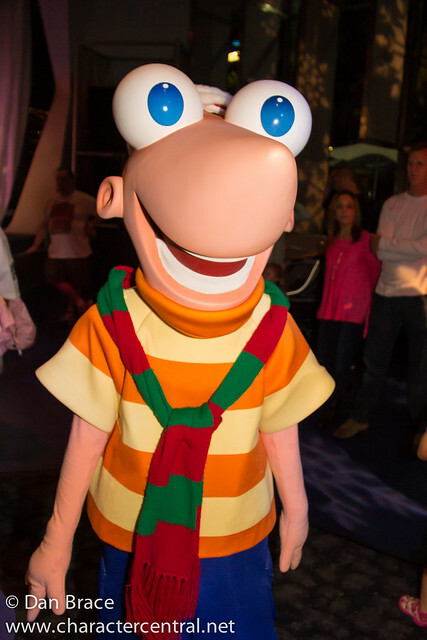 This is a photo-heavy post, so be prepared in case you have a slow connection speed. 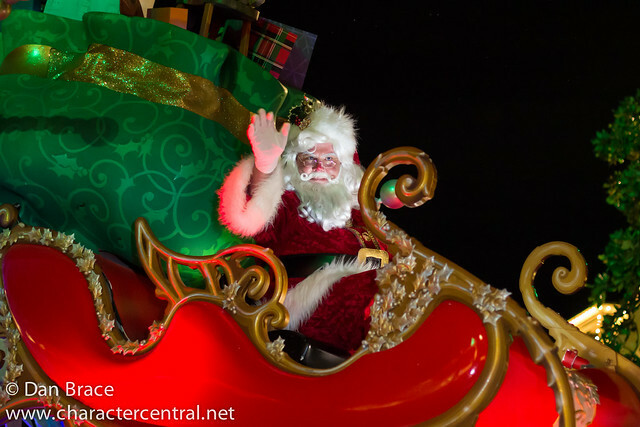 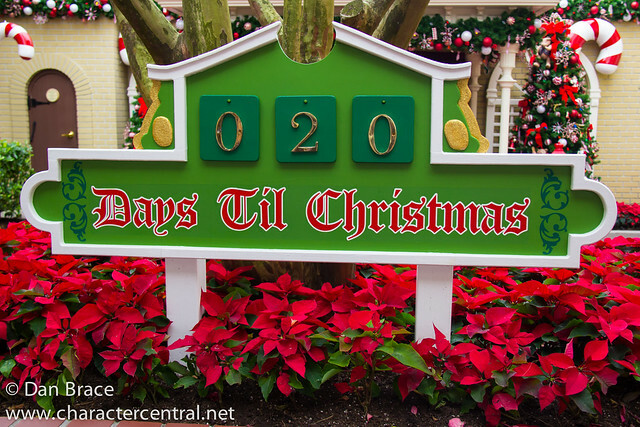 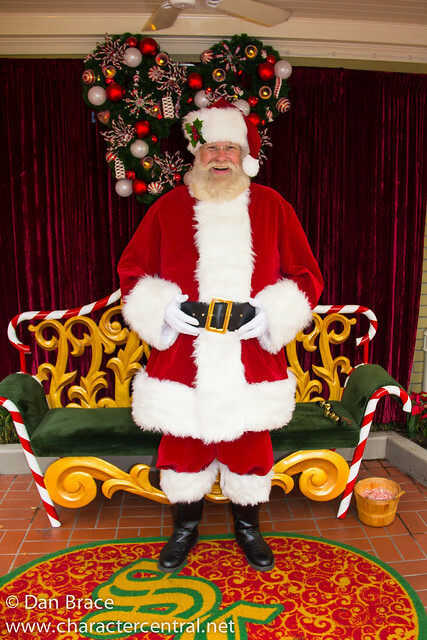 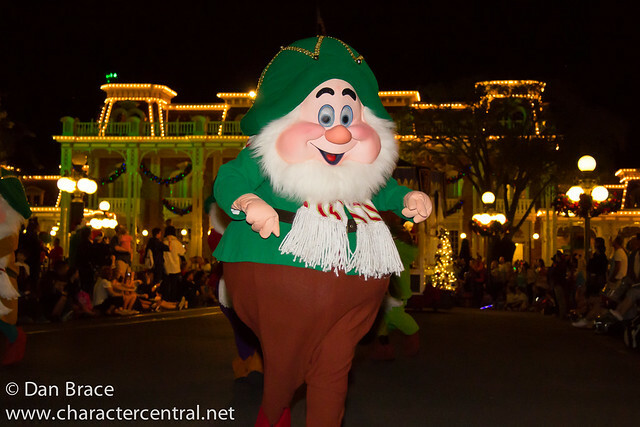 Let's start on Main Street USA with meeting Santa Claus. 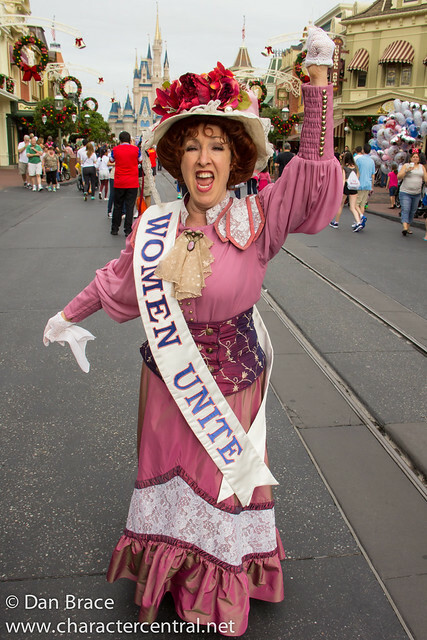 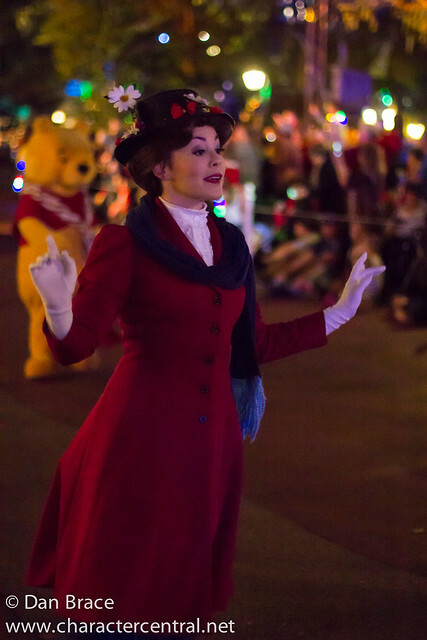 The Citizens of Main Street were out too, and some of them had their Christmas wear on. 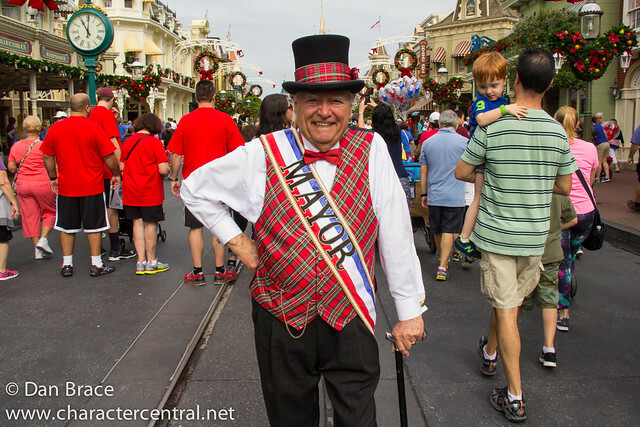 Mayor Weaver in his red tartan, and Miss Hildegard had poinsettias in her hat. 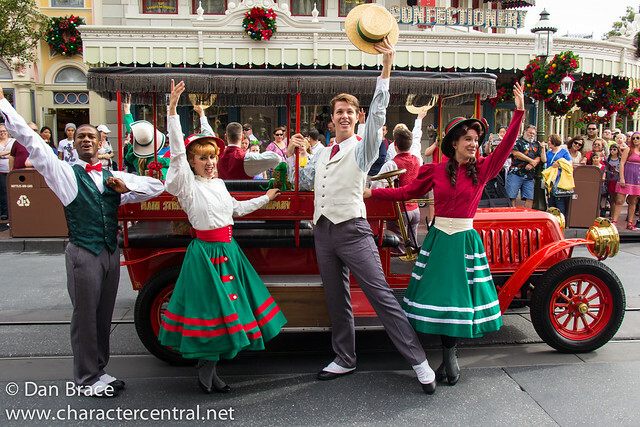 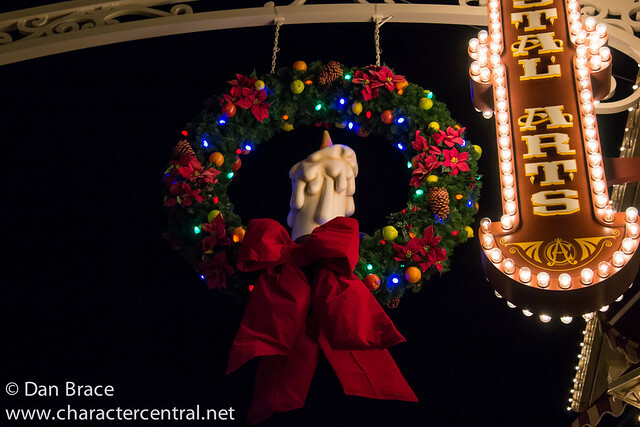 One of my favourite things on Main Street, The Main Street Trolley Show, was also in its Christmas form for the holiday season. 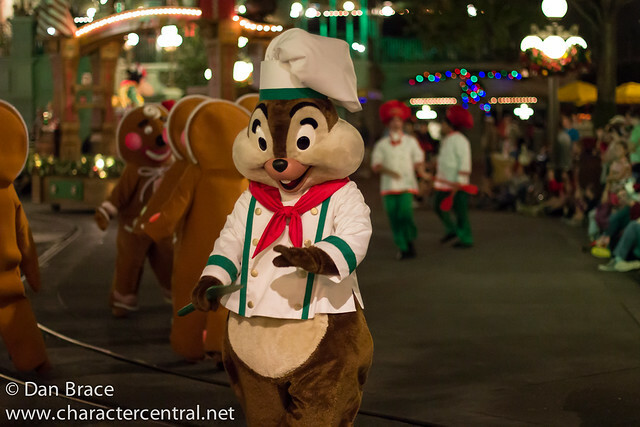 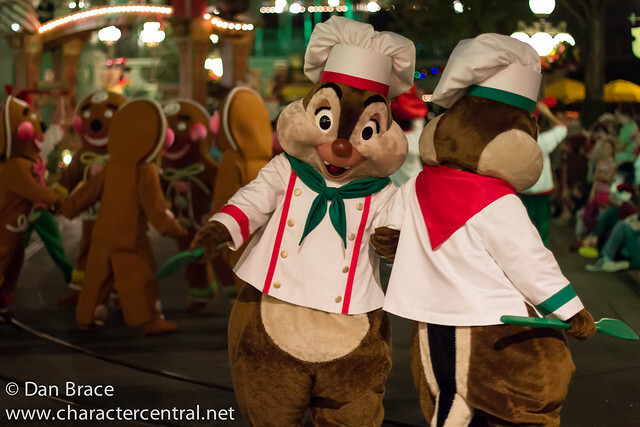 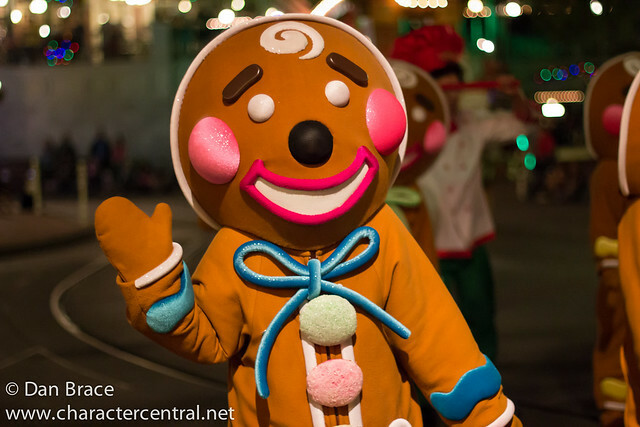 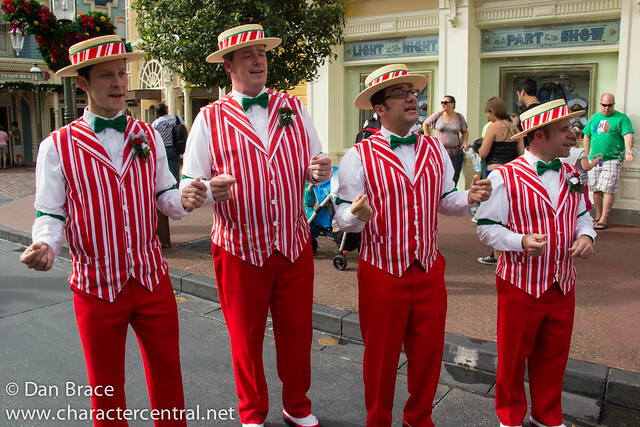 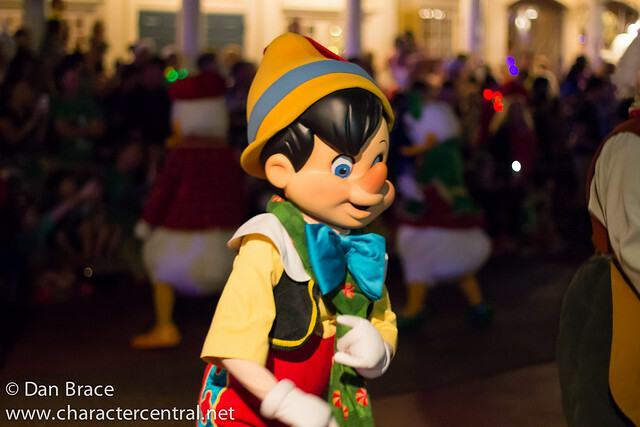 The Dapper Dans were also wearing their Christmas overlays and singing Christmas tunes. 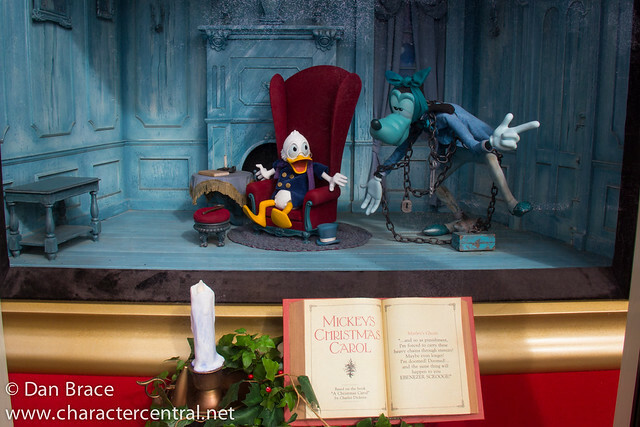 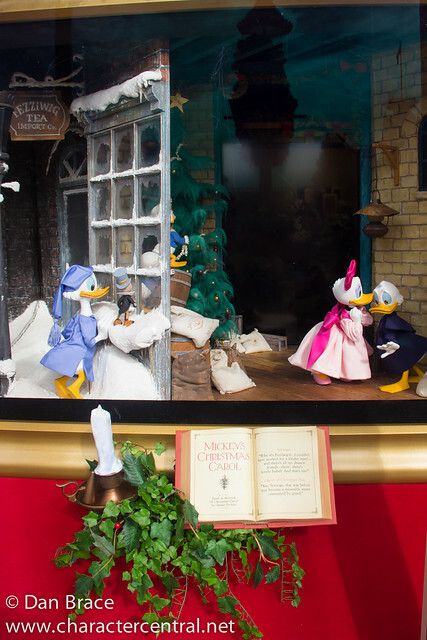 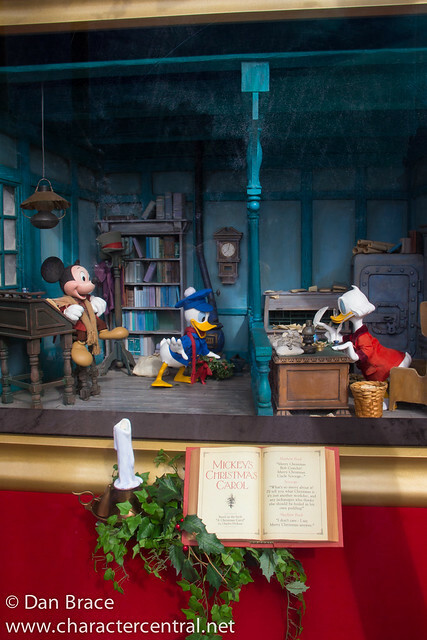 Let's take a look at some of the decorations on Main Street USA too, including the Mickey's Christmas Carol window display at the Emporium. 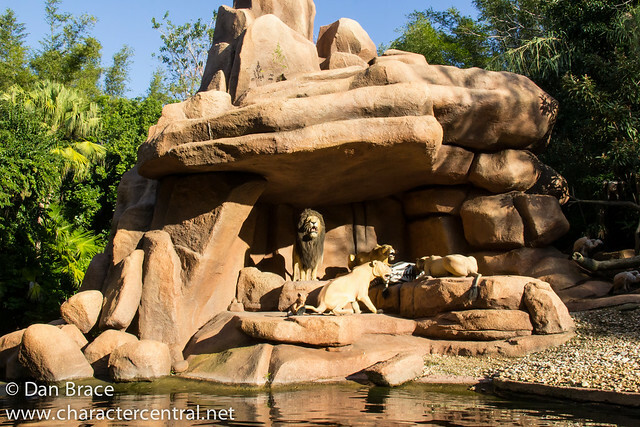 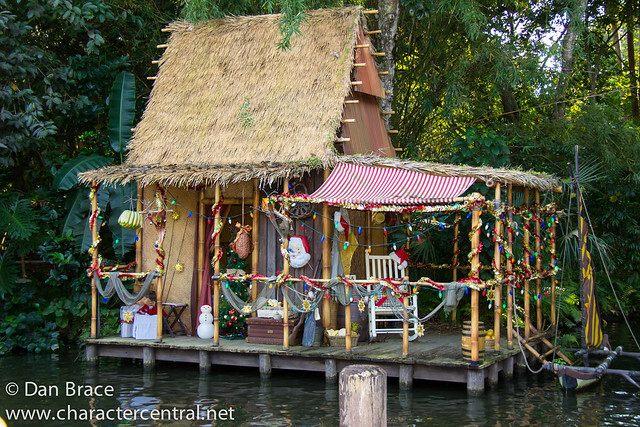 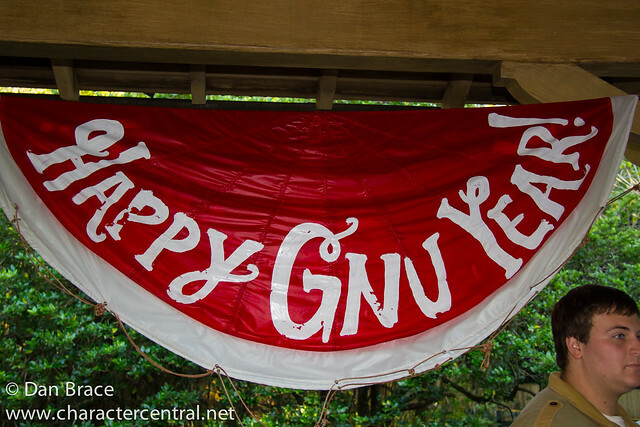 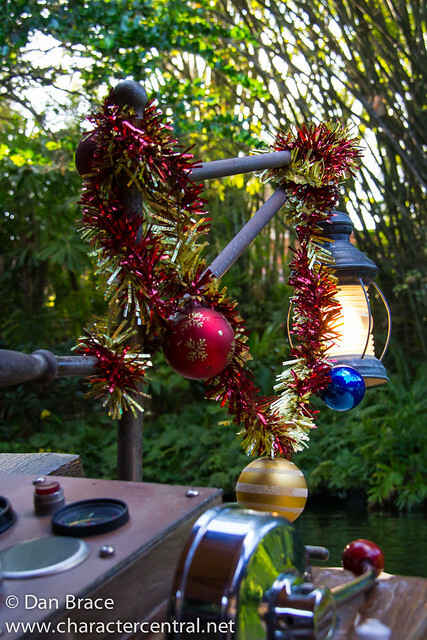 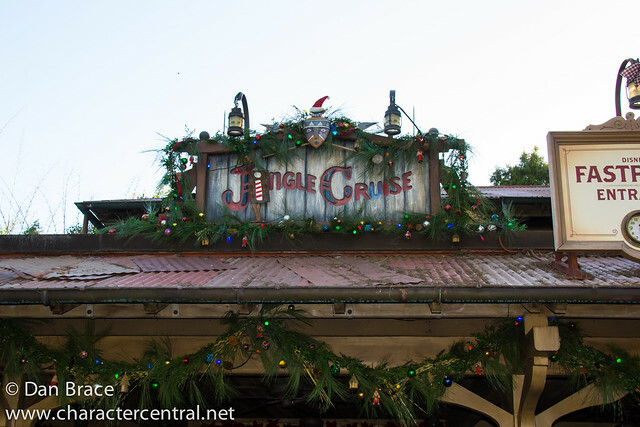 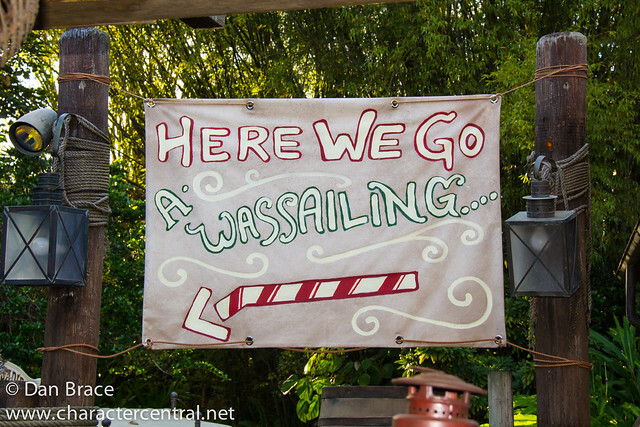 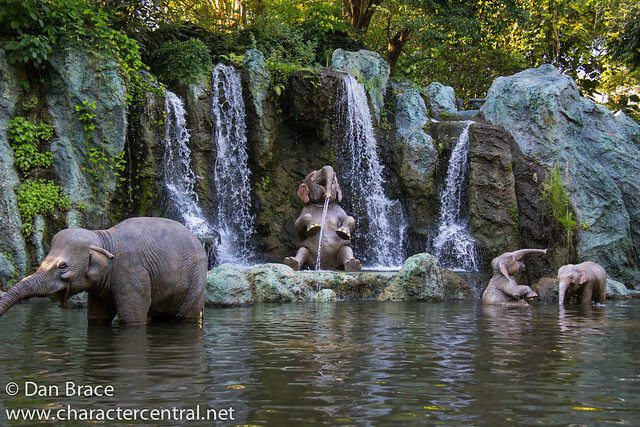 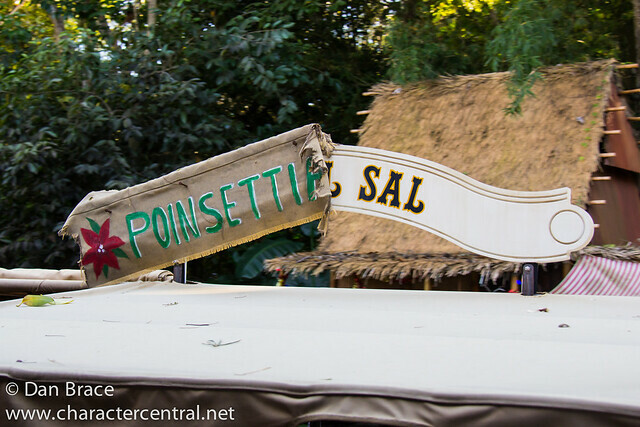 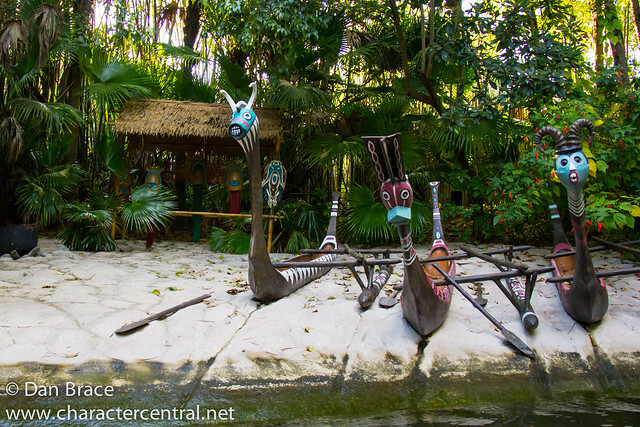 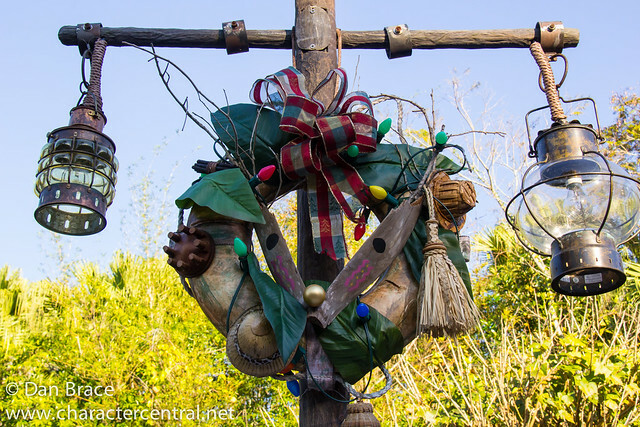 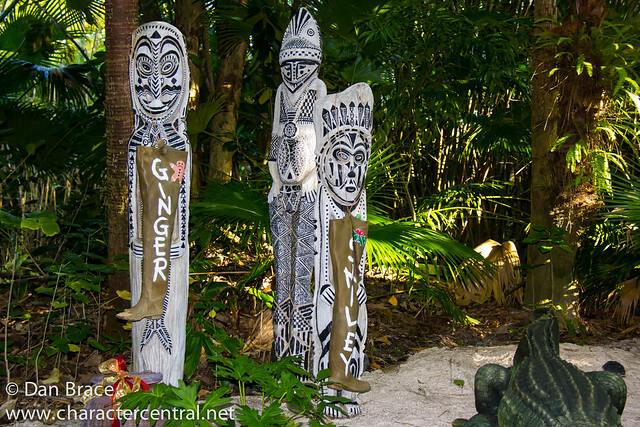 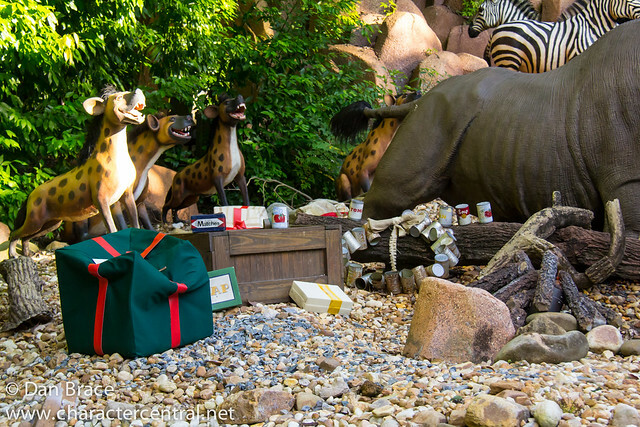 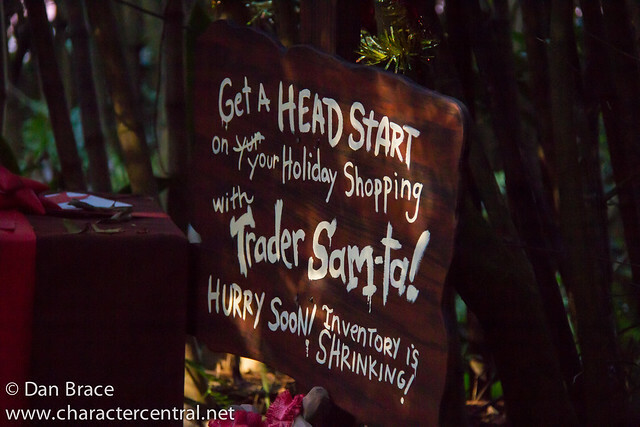 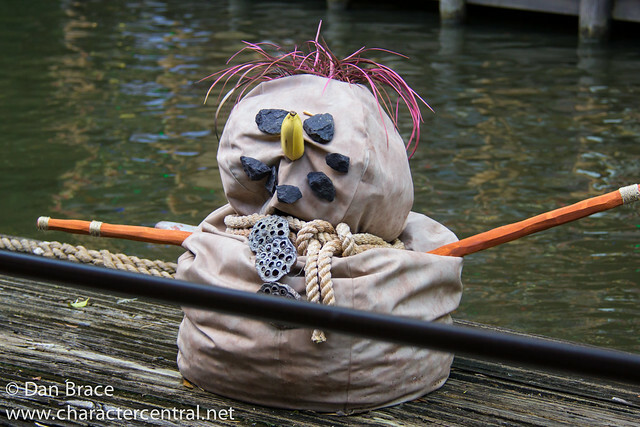 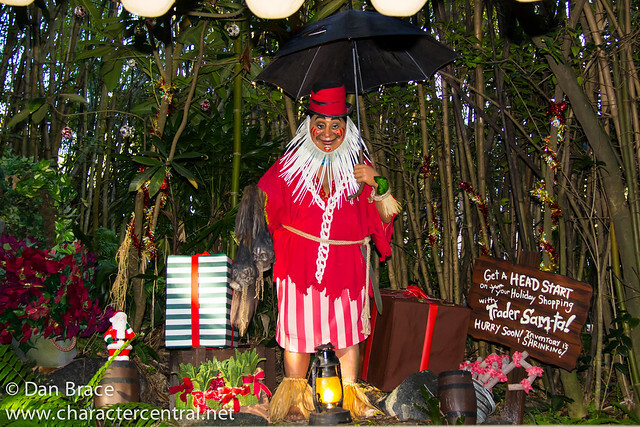 Over in Adventureland, the Jungle Cruise became the Jingle Cruise again this year, with many more additions than last year. 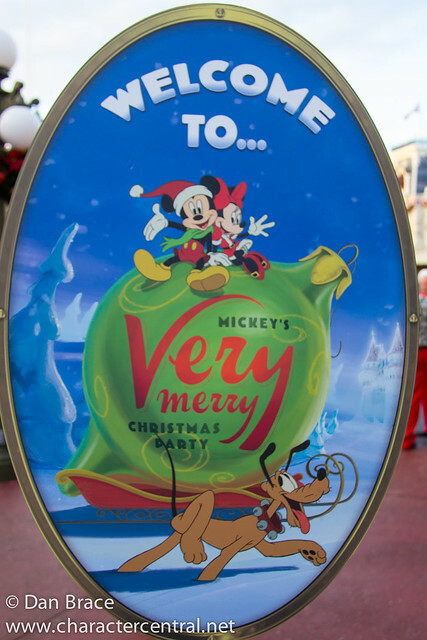 Overall we enjoyed this version. 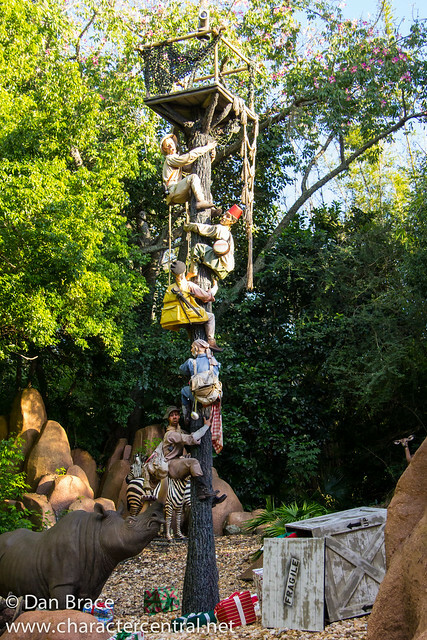 It adds something a little different to the park. 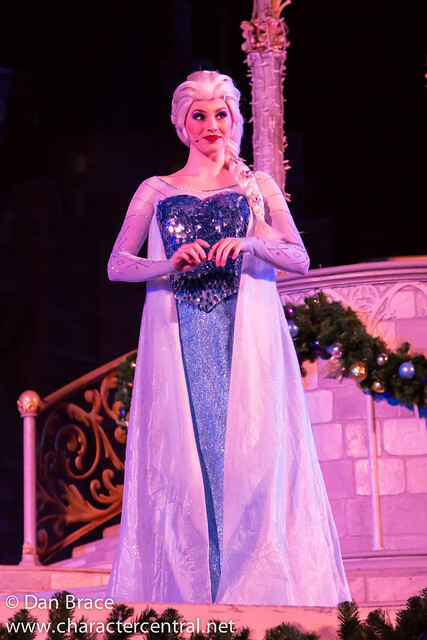 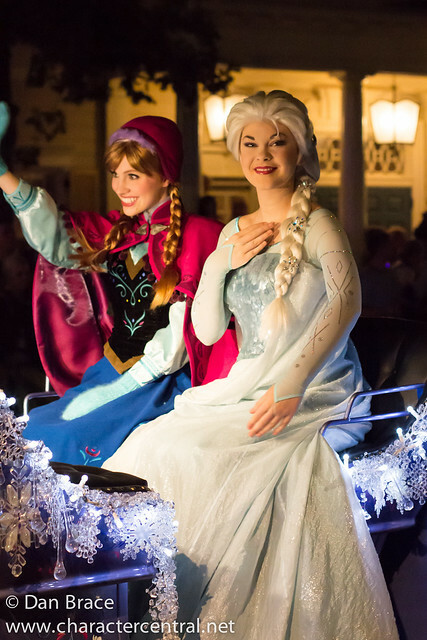 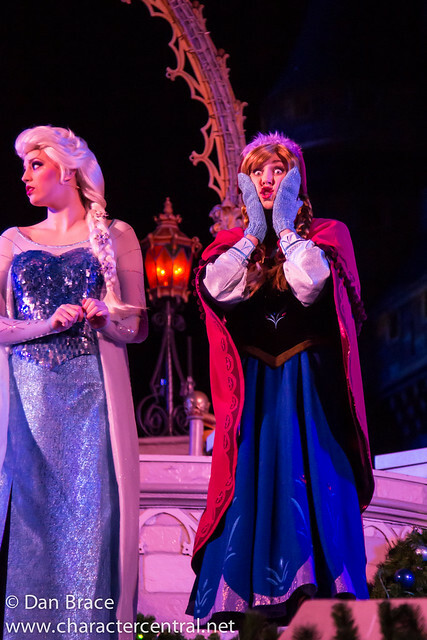 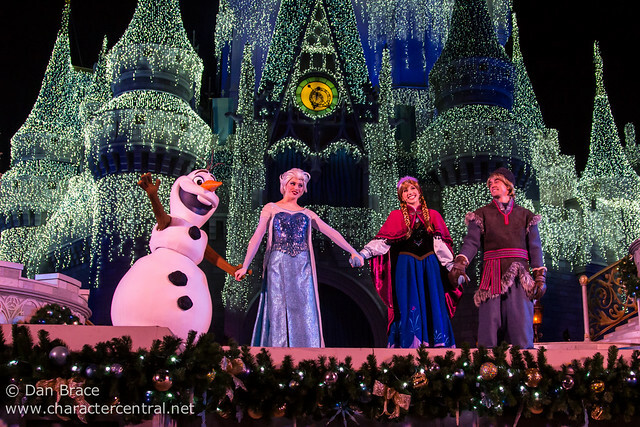 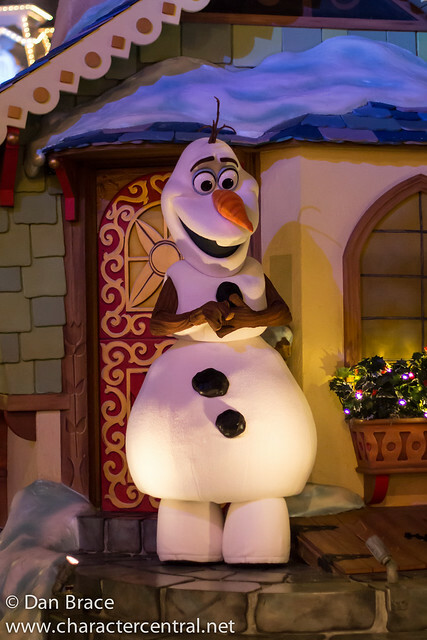 As night falls on the Magic Kingdom, Anna, Elsa, Kristoff and Olaf appear in "A Frozen Holiday Wish" at Cinderella Castle to light it, turning it into a wintry ice palace. 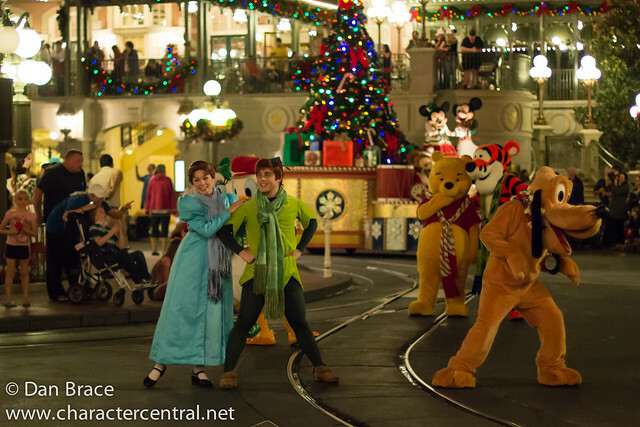 This show gets insanely busy, and requires camping out several hours beforehand if you want a good spot! 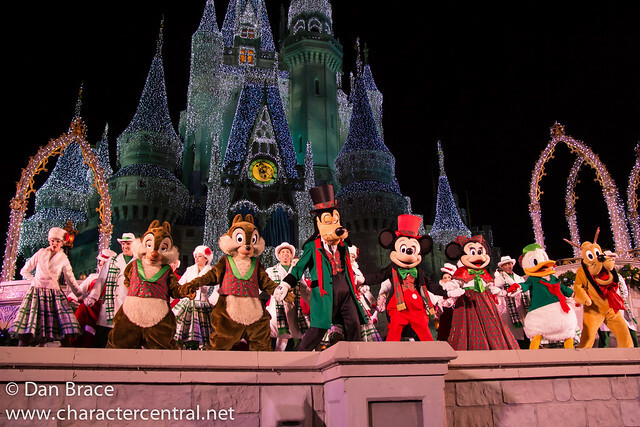 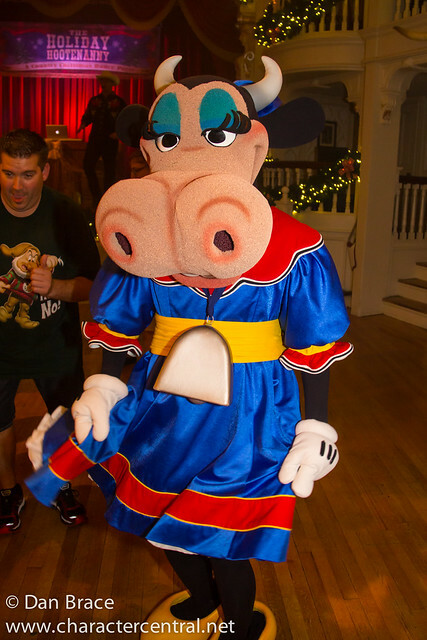 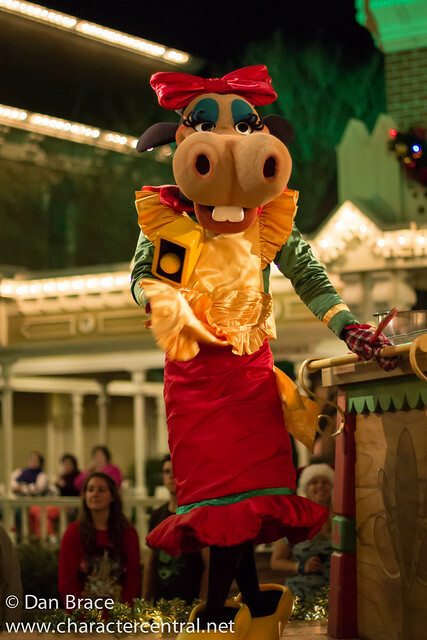 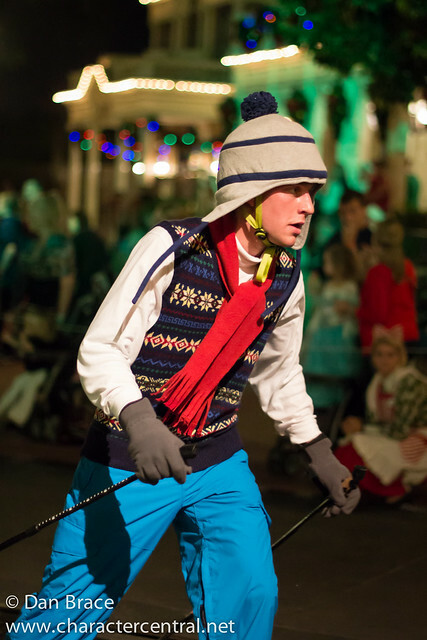 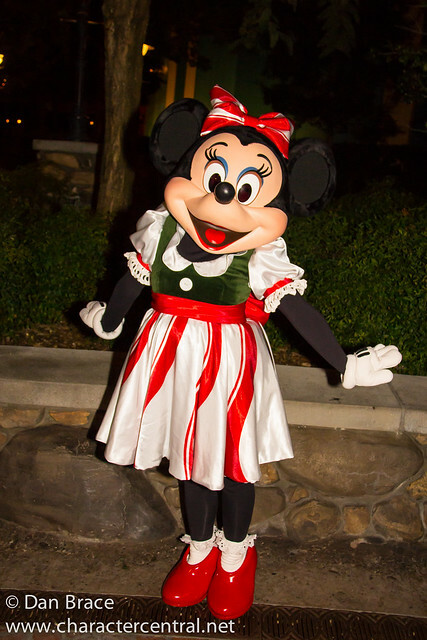 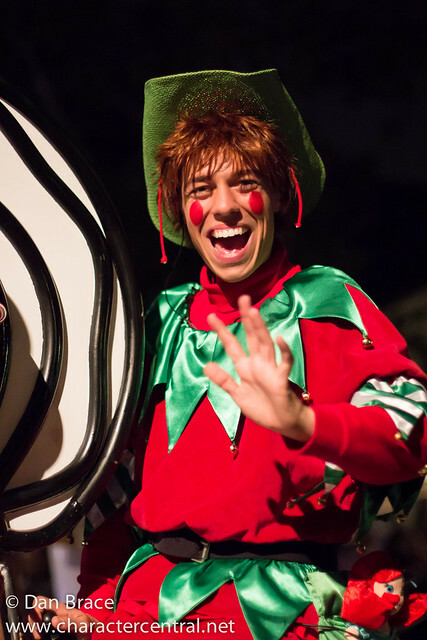 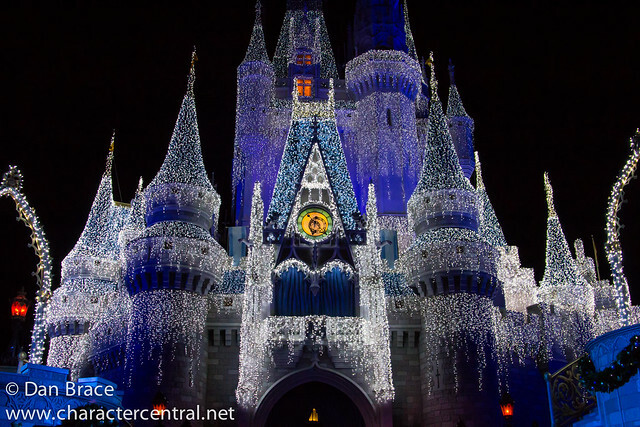 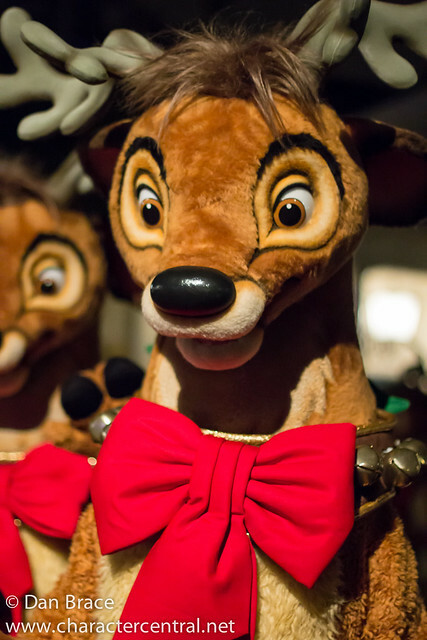 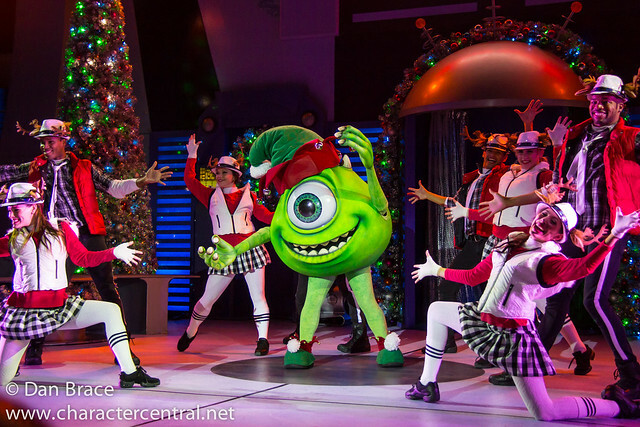 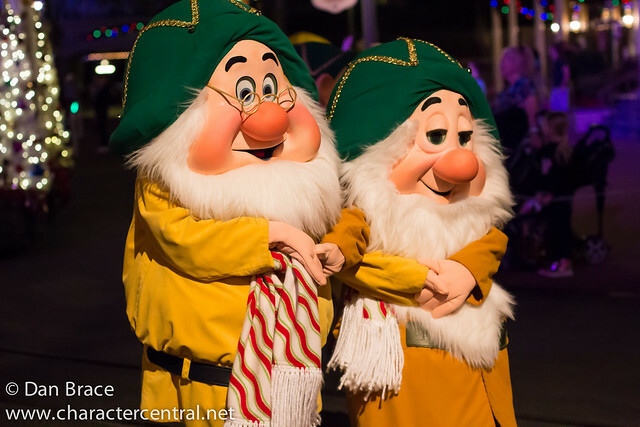 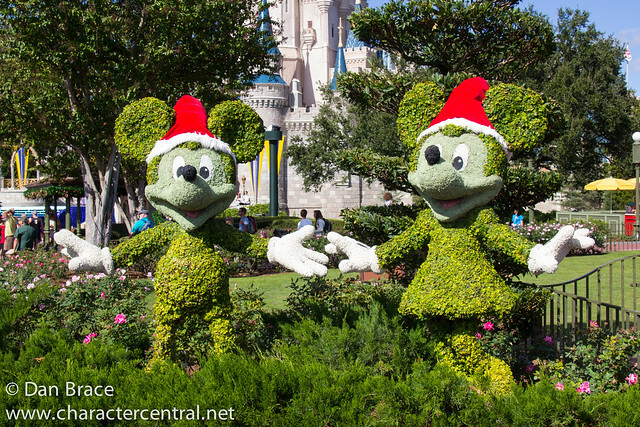 On select nights during November and December the Magic Kingdom hosts Mickey's Very Merry Christmas Party. 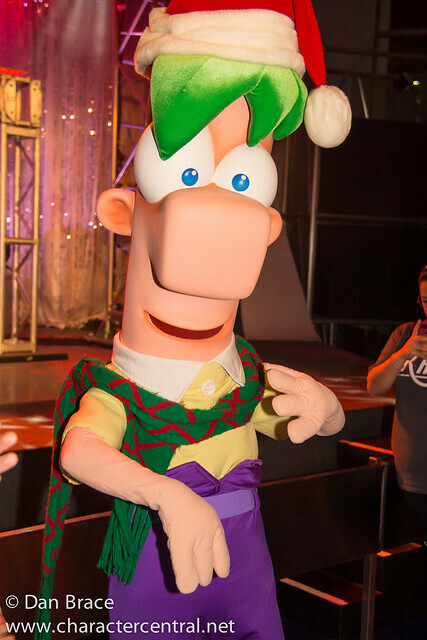 We were supposed to attend two of these, however we ended up attending three. 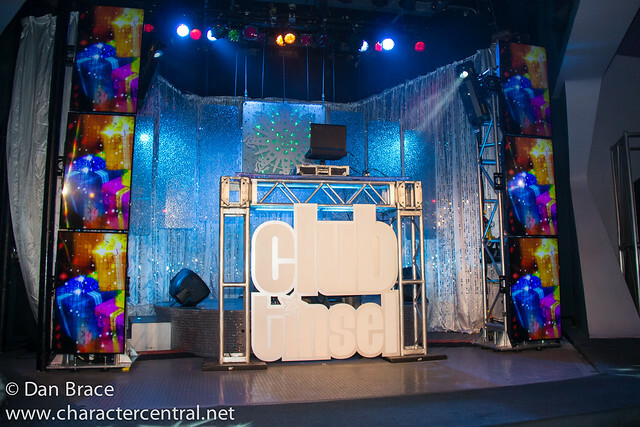 This wasn't our original intention, however, the first party night we attended was a total disaster. 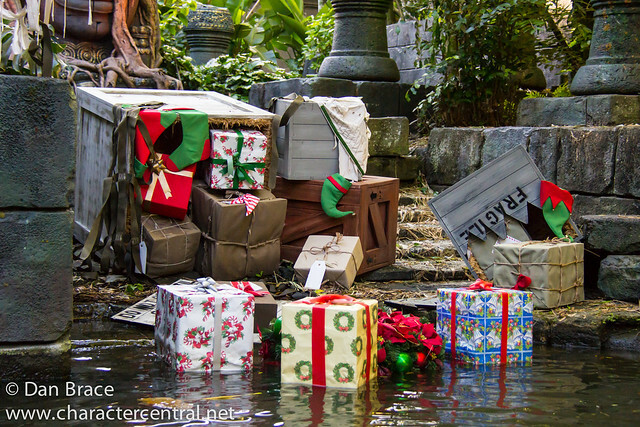 It rained a lot, and while we understand Disney cannot control that, everything was cancelled. 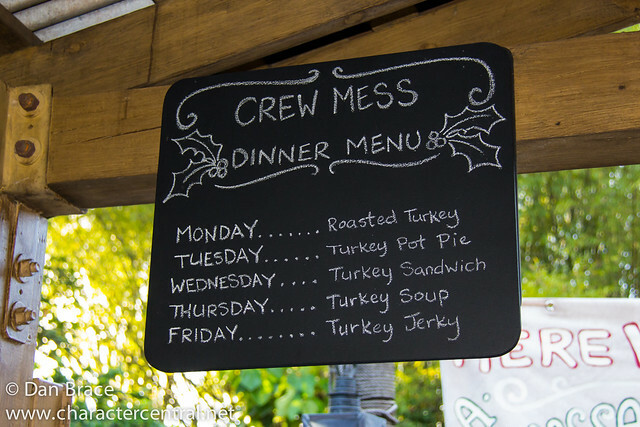 There appeared to be no contingency plan or back-up in the event something like this happened. 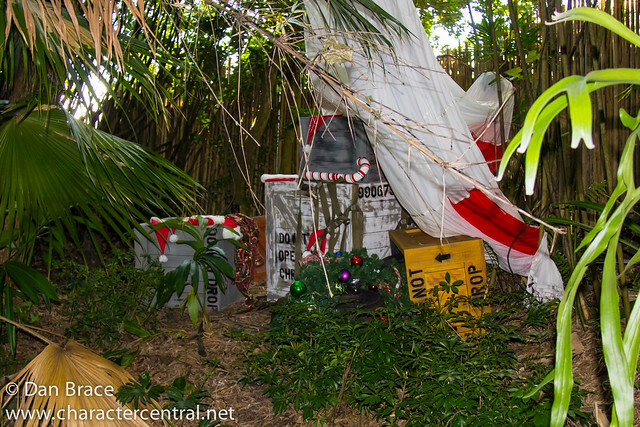 I'm not sure why this would be any great surprise to them either, since it is Florida after all. 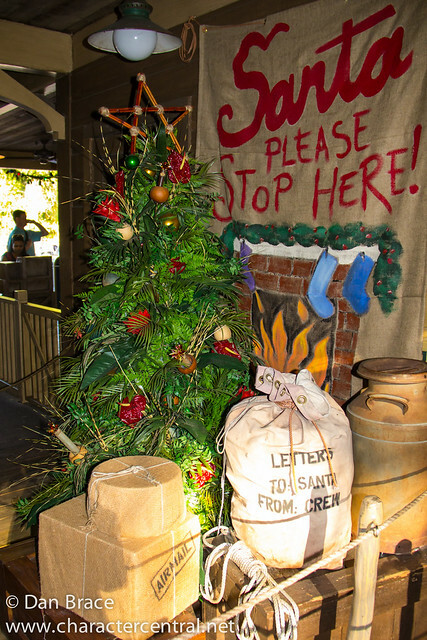 Anyway, as much as we didn't want to, we complained at City Hall (along with many others actually). 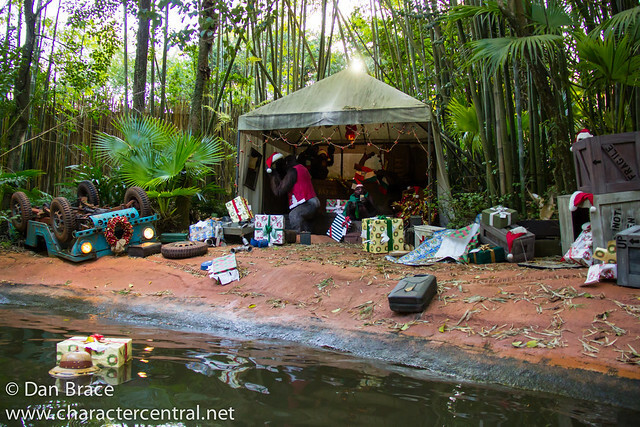 Our main argument was that they didn't offer anything in case of rain, especially since we paid $70 to be there. 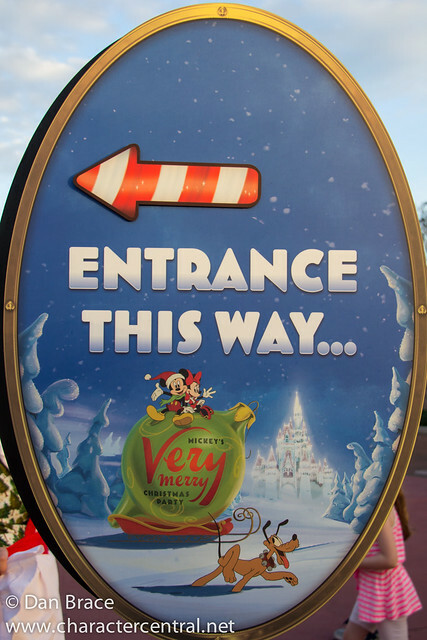 So, we ended up getting a free ticket for later in the week, which mostly made up for an abysmal evening. 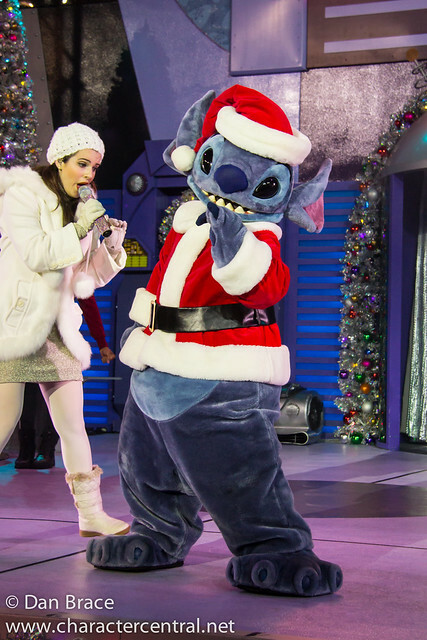 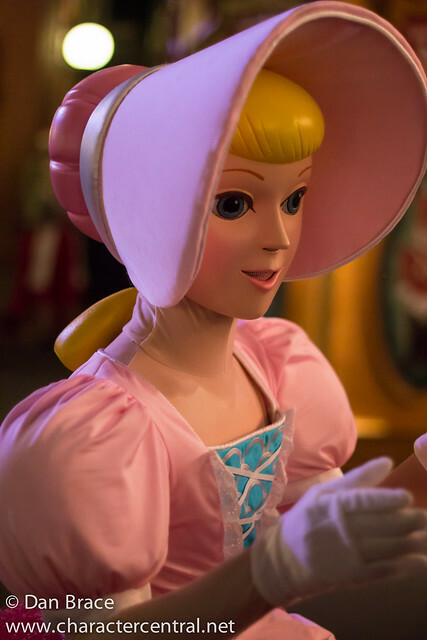 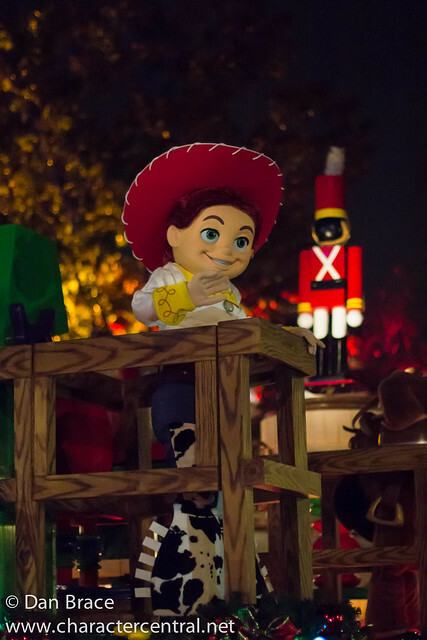 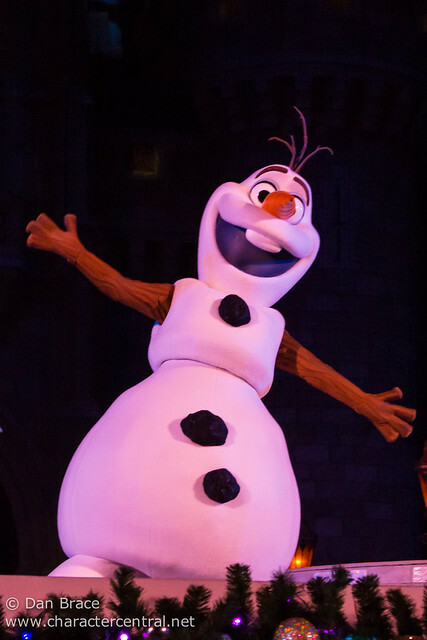 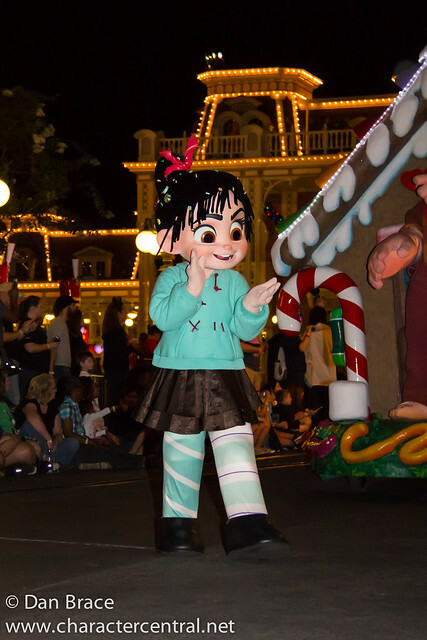 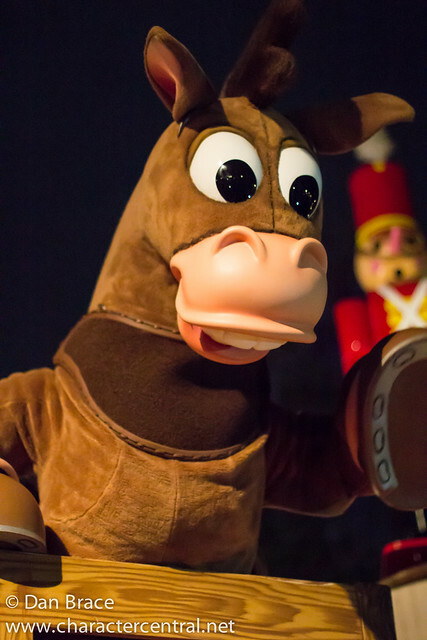 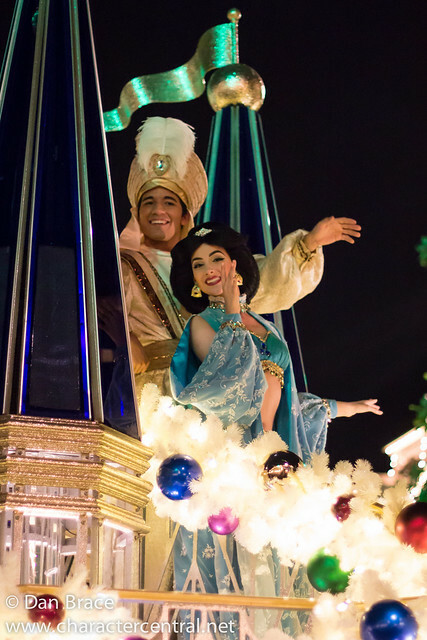 Anyway, during the party there are character greeting opportunities, the special Christmas parade, some shows and fireworks. 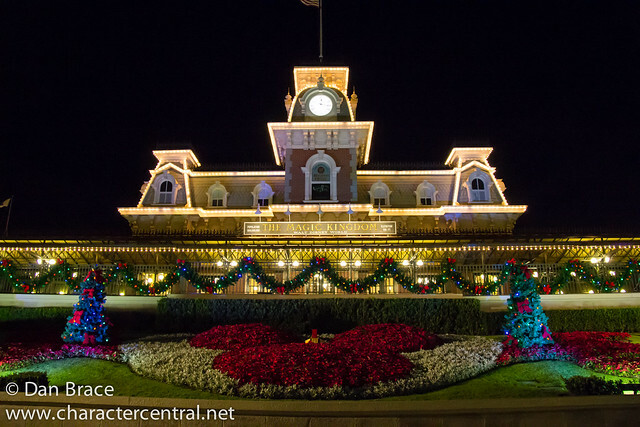 Even with attending three nights, between the crowds and the very limited time they allot, we sadly didn't get to see everything, but we gave it our best shot between the three we attended! 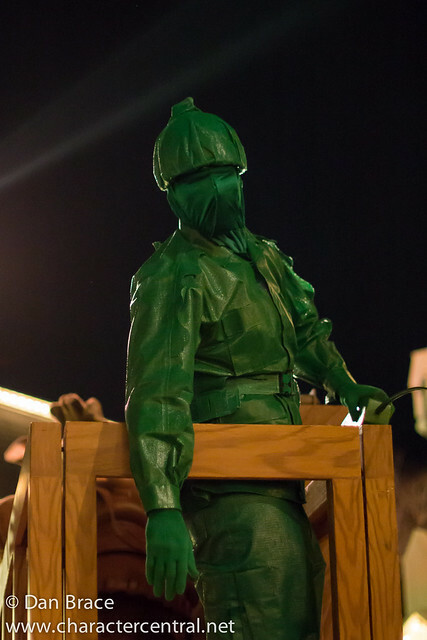 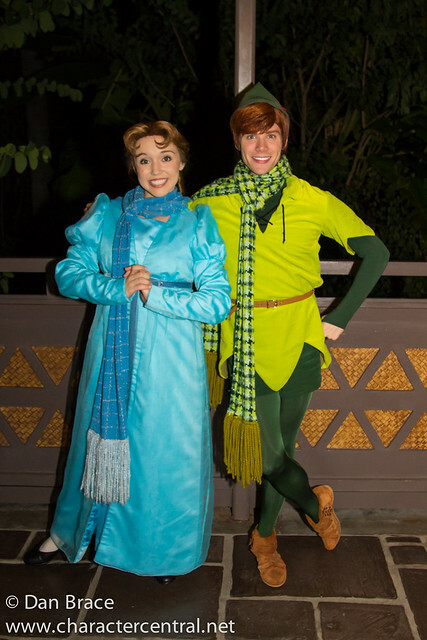 Here are the characters we met across our three nights. 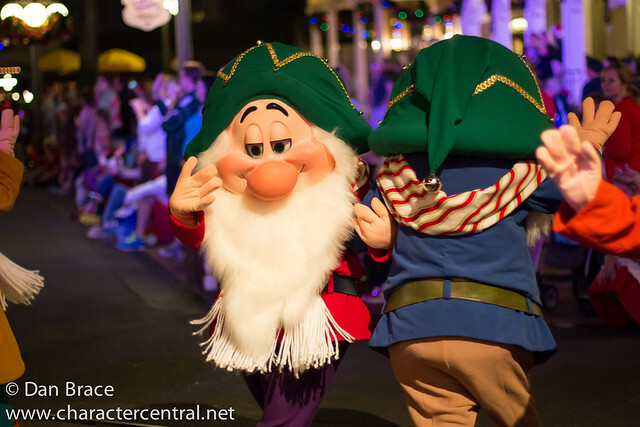 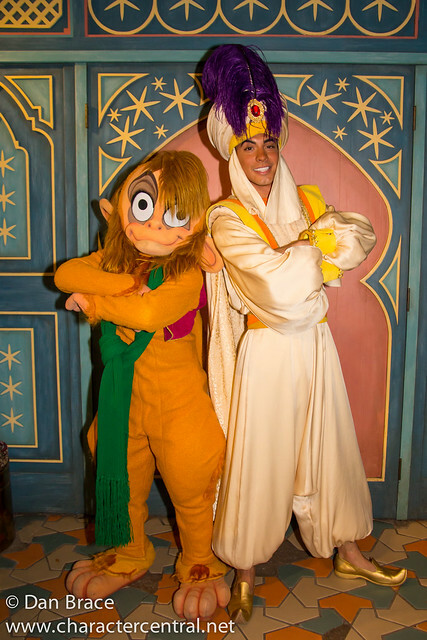 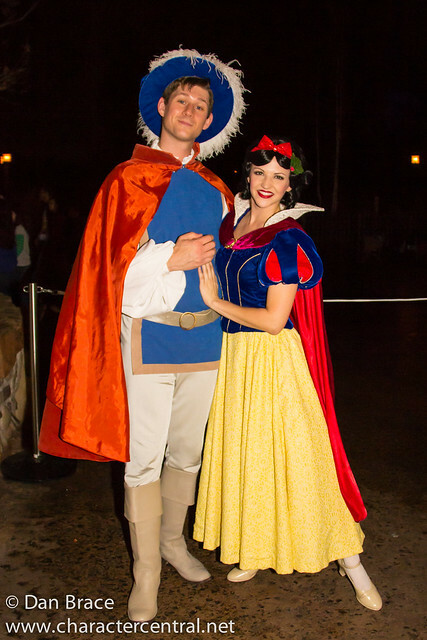 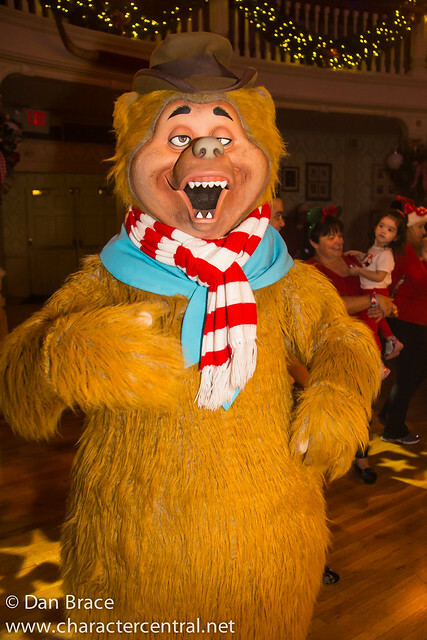 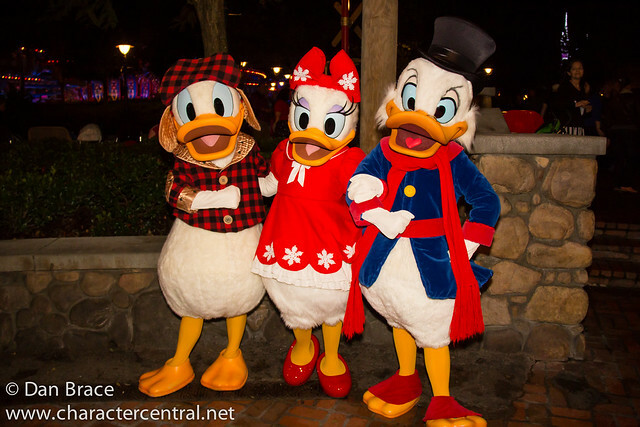 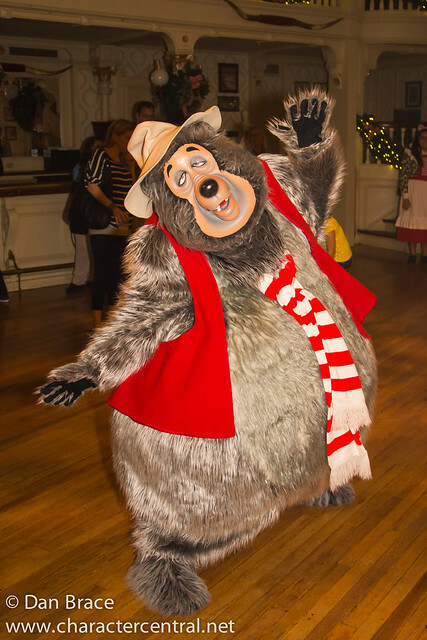 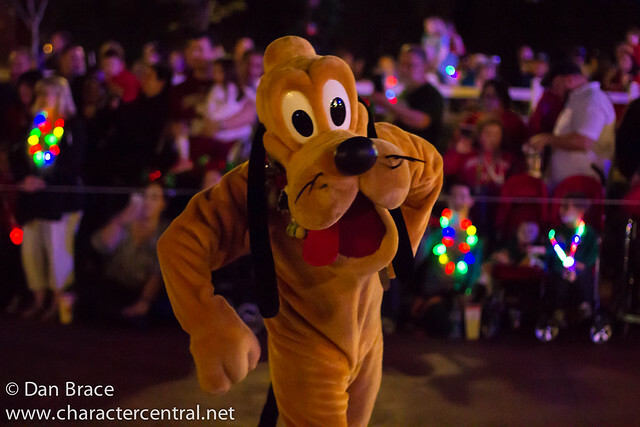 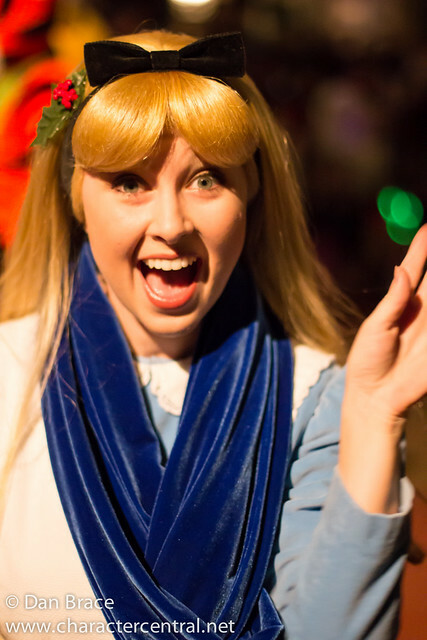 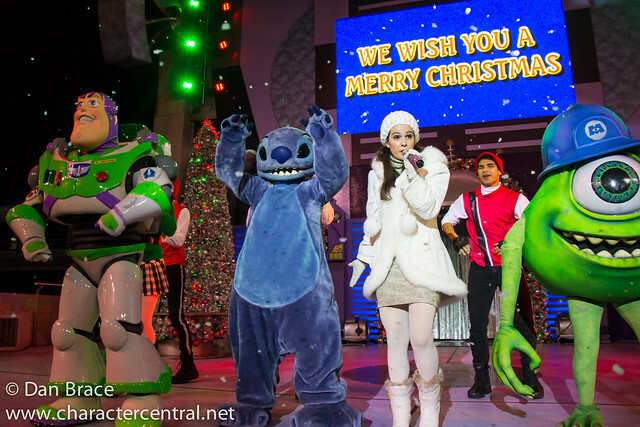 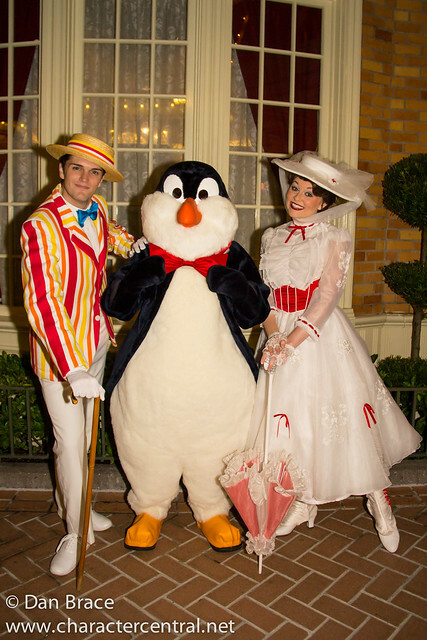 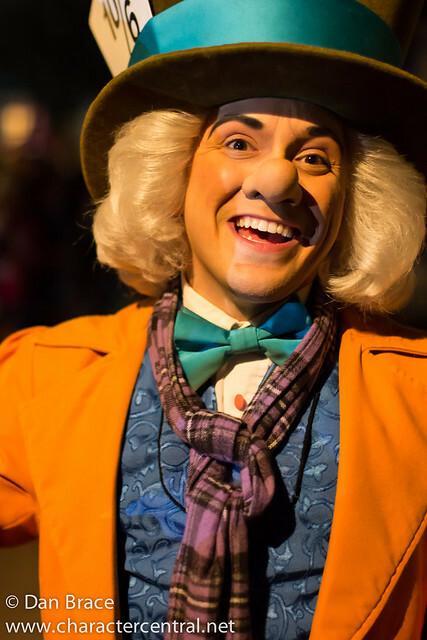 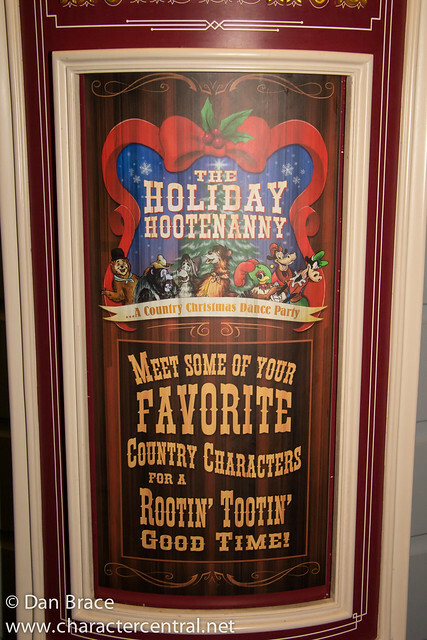 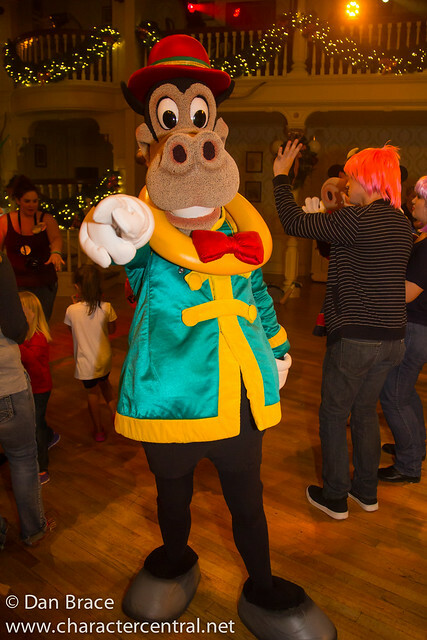 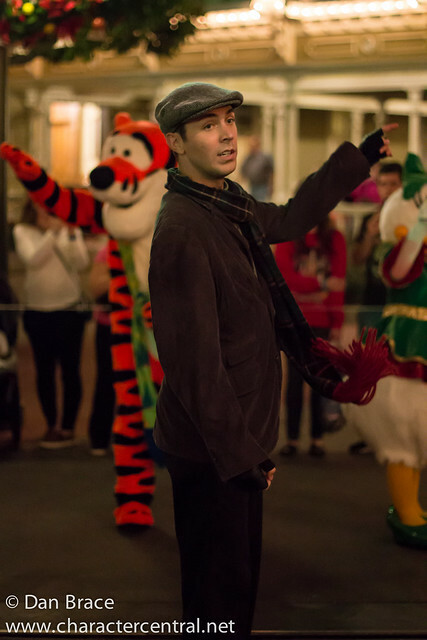 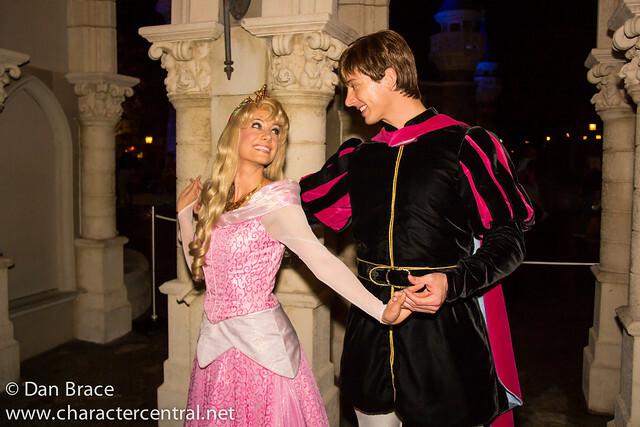 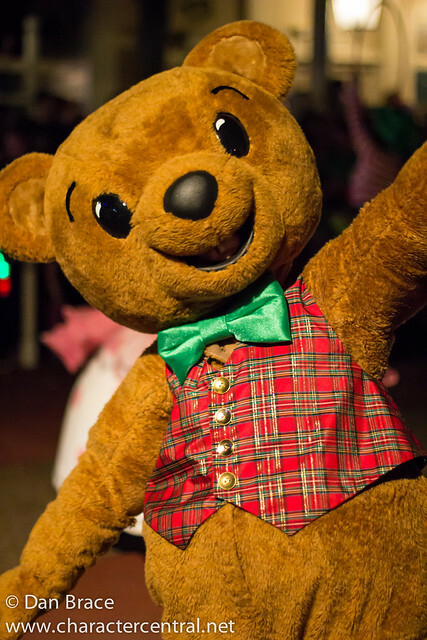 We also stopped by the two dance parties - the Holiday Hootenanny and Club Tinsel to take photos of the characters. 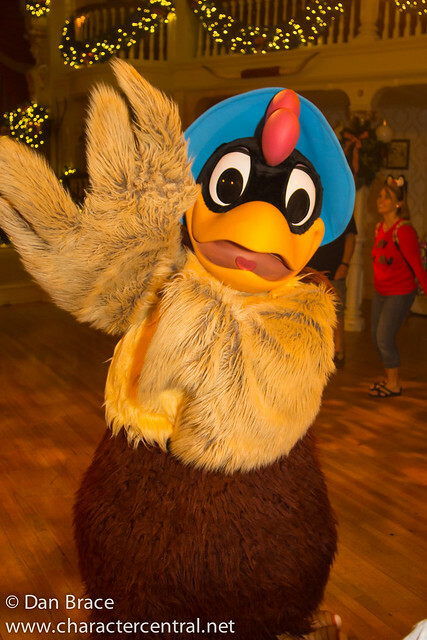 Sadly when we went to the Hootenanny Liverlips and Shaker were not appearing. 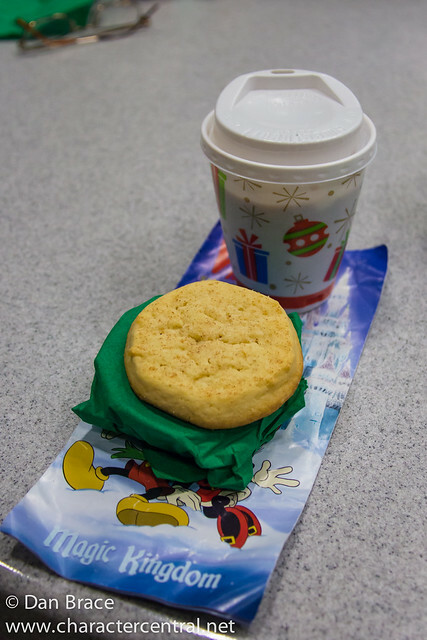 During the party you can also pick up "free" treats (as free as you can get for a party that costs $70). 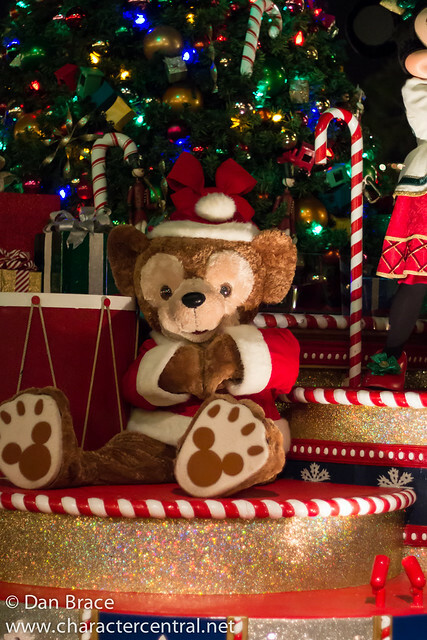 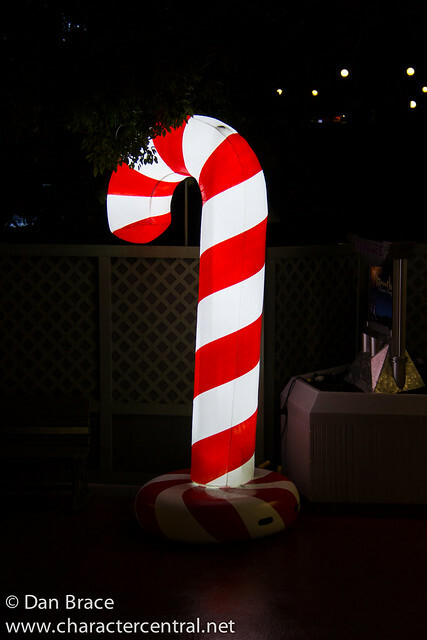 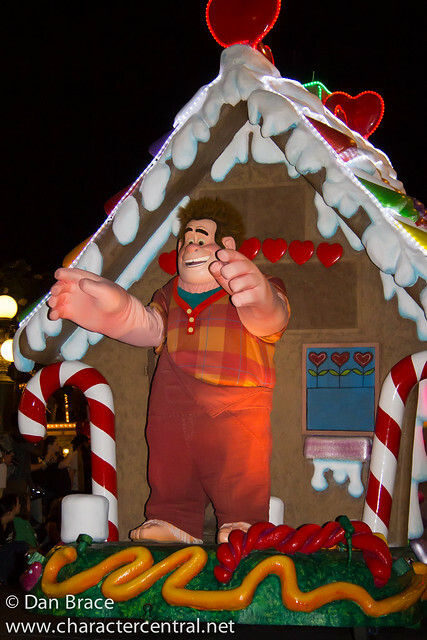 Cookies, fruit slices and hot chocolate are distributed all through the event at various locations in the park that are marked with a giant candy cane outside them. 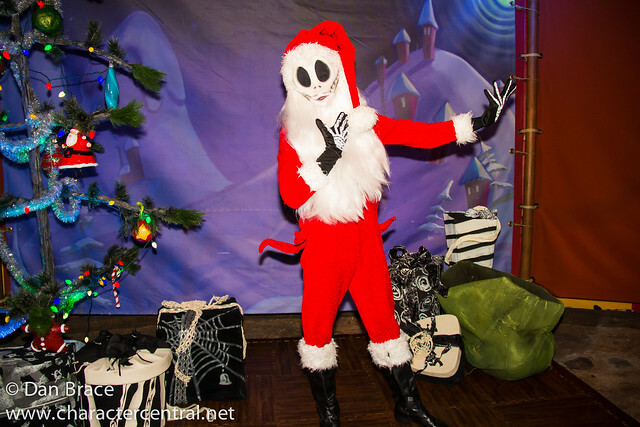 Call it the Christmas version of trick or treat, if you like! 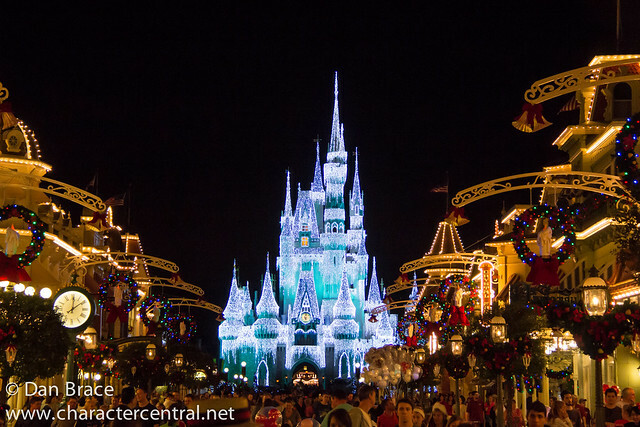 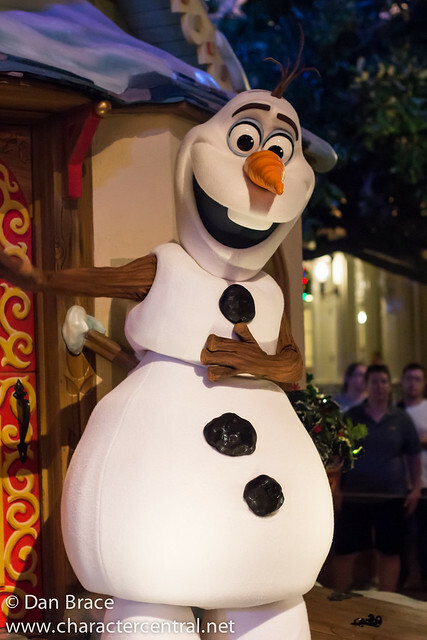 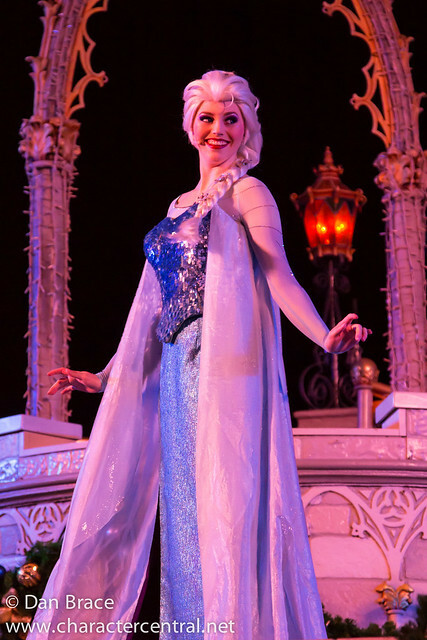 During the evening there are also presentations of "A Frozen Holiday Wish" (which I mentioned above, that happens outside of the parties also), the "Holiday Wishes" fireworks and "Celebrate the Magic" (their regular castle projection show). 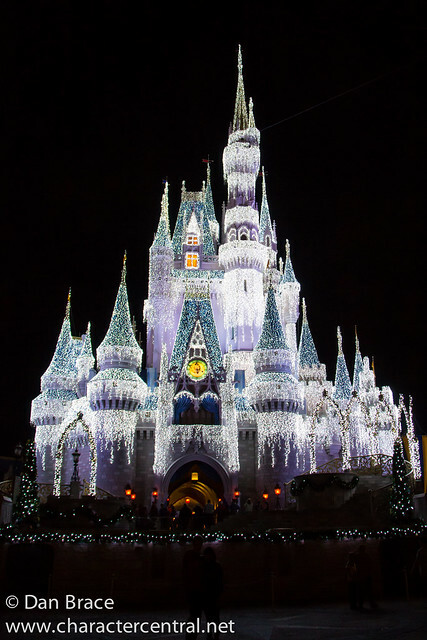 Of course, I already shared some photos of the castle lighting, but sadly I do not have good photos of the fireworks due to the rain and other factors. 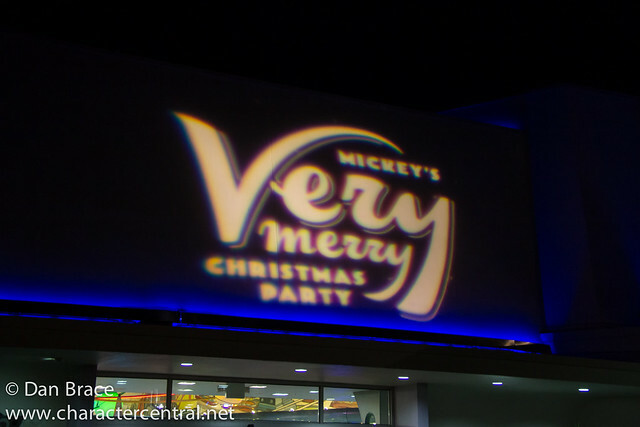 We didn't bother with the projection show. 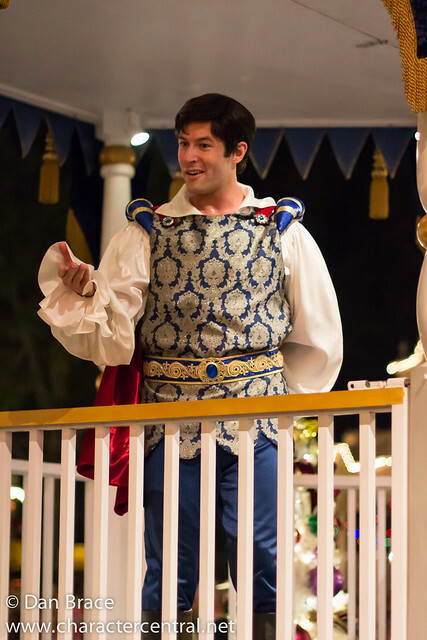 There are also two stage shows. 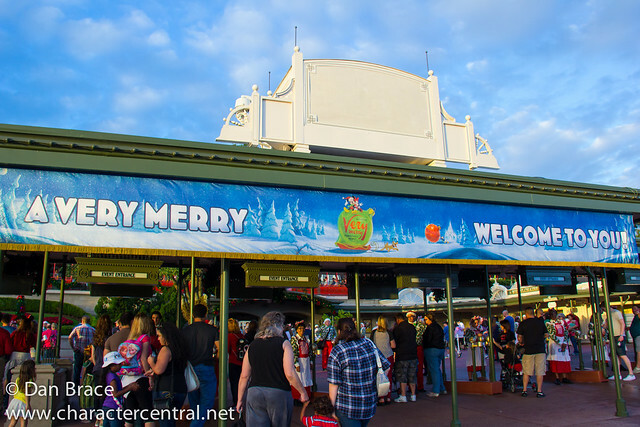 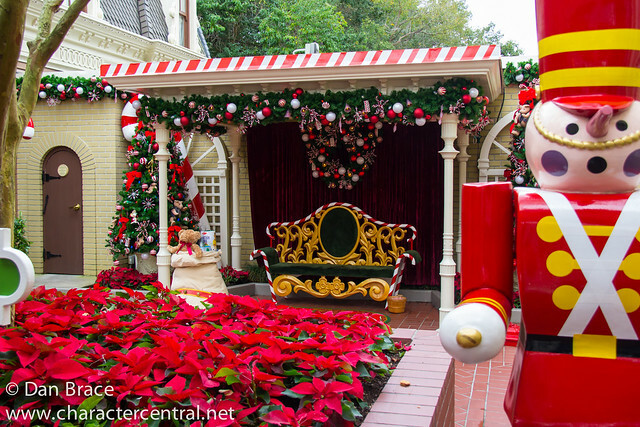 "Celebrate the Season" at the Castle Stage and "A Totally Tomorrowland Christmas" in Tomorrowland. 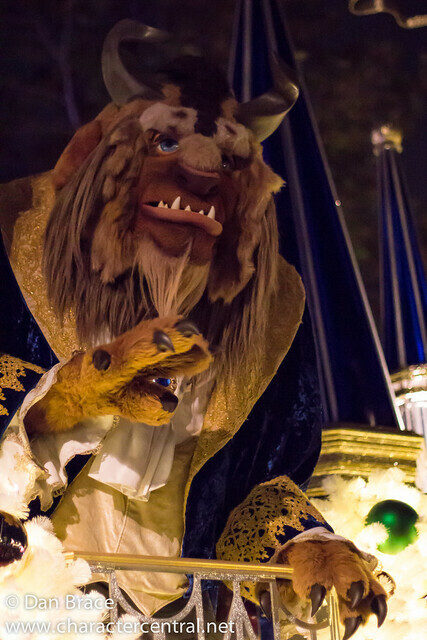 Sadly, again due to rain on the one night, and "technical" difficulties on another night we only saw a scaled down version of Celebrate. 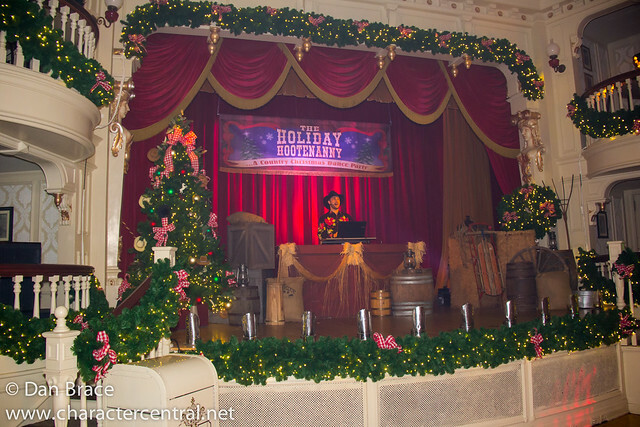 We did however see the full version of "A Totally Tomorrowland Christmas". 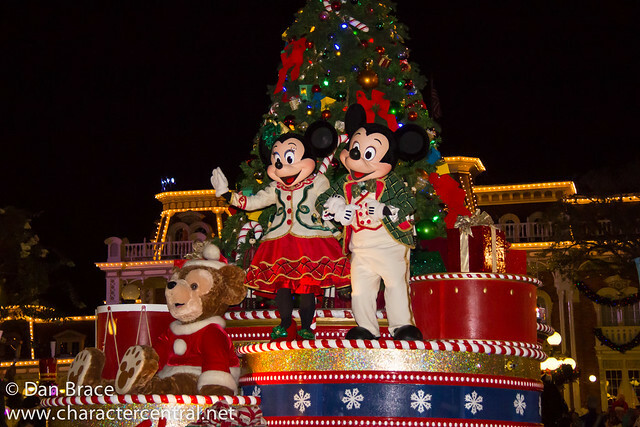 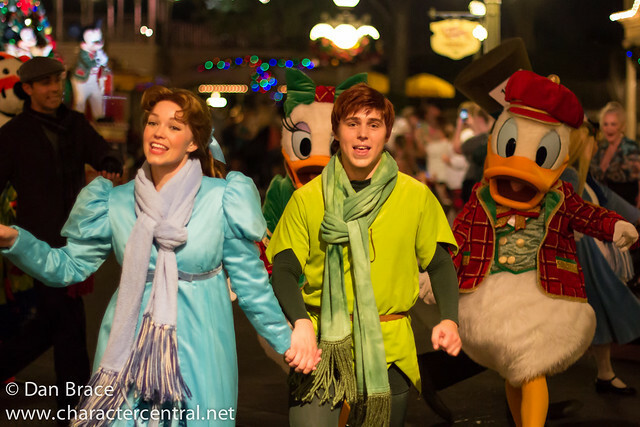 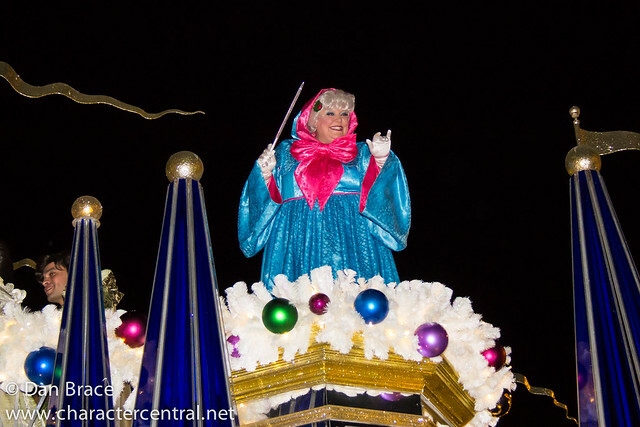 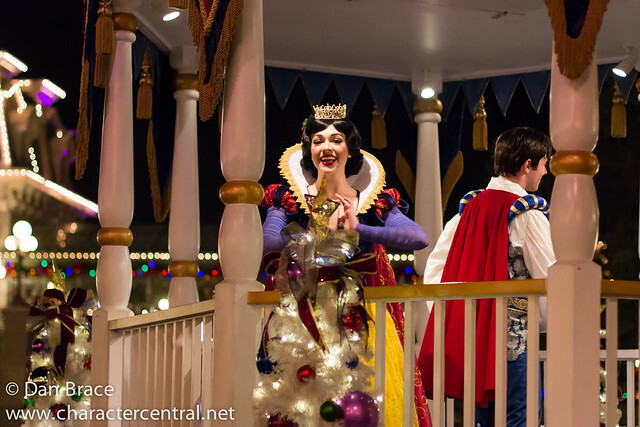 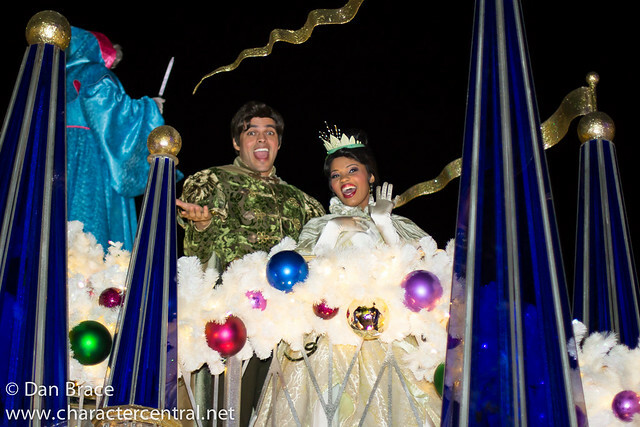 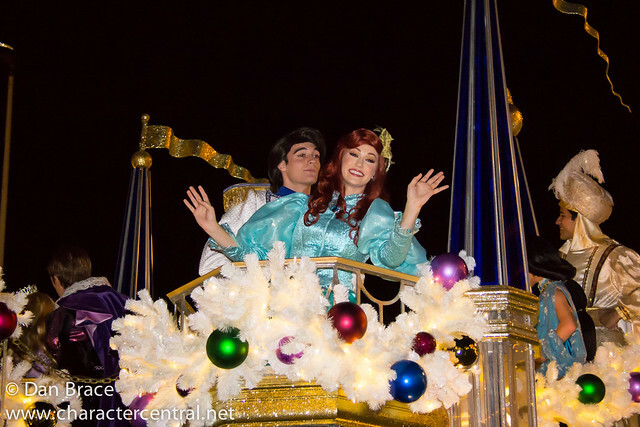 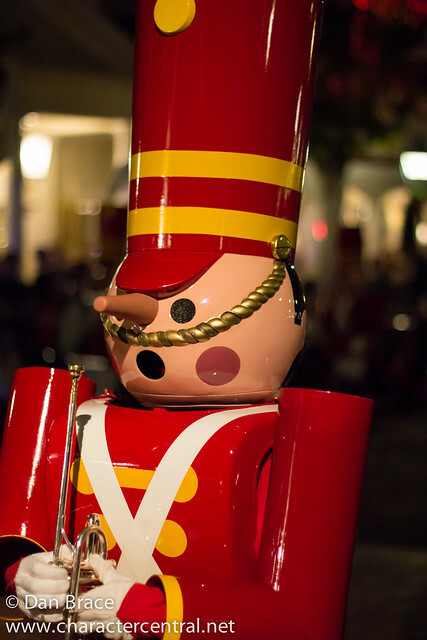 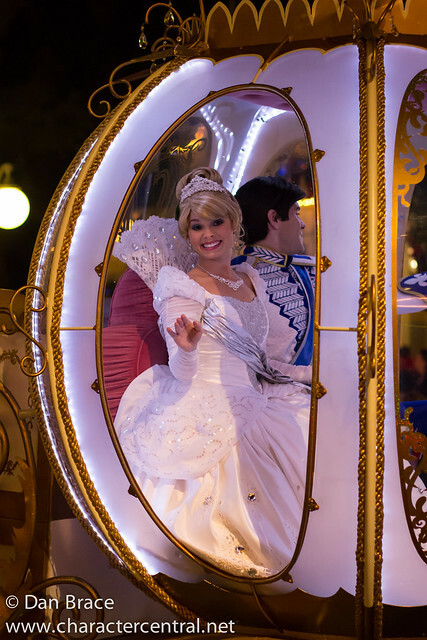 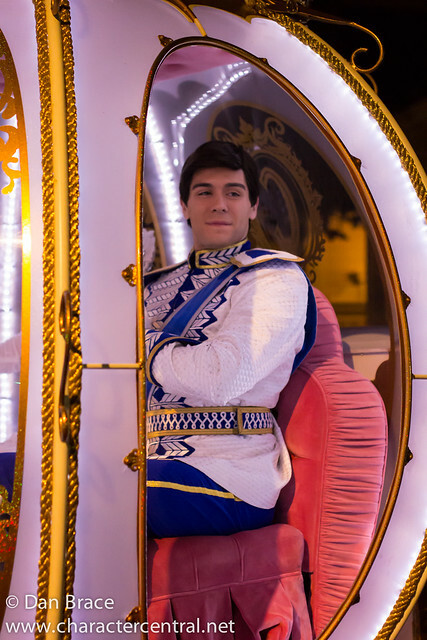 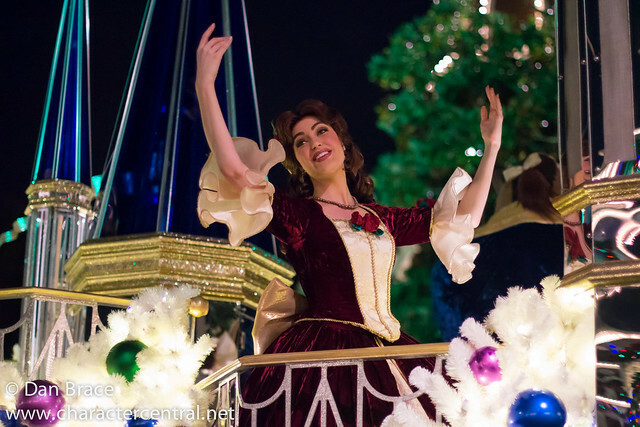 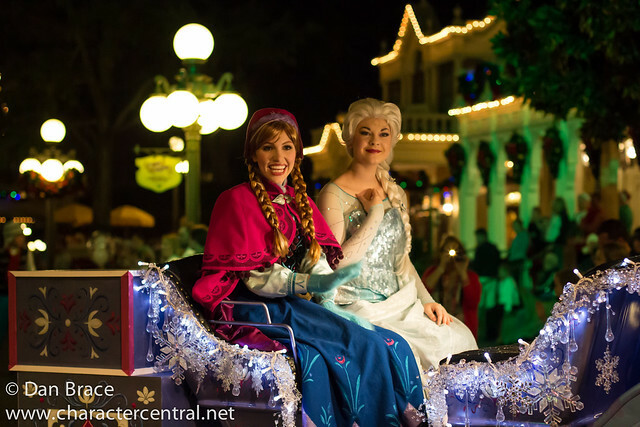 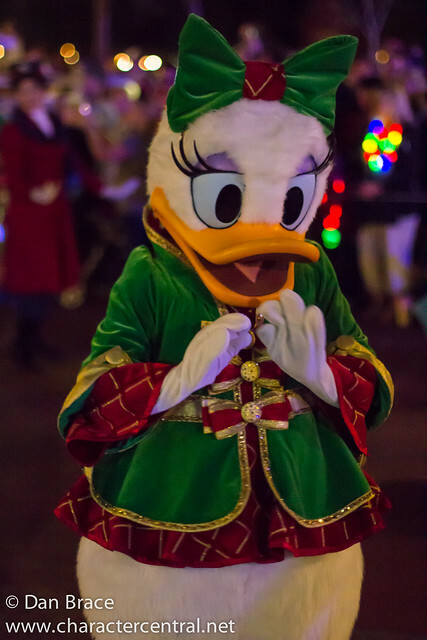 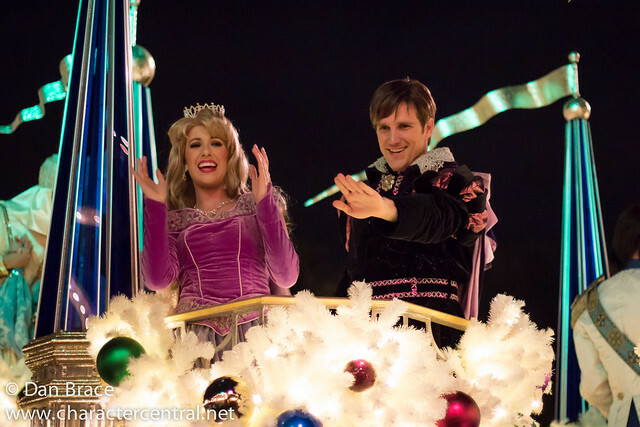 Finally we come to the main event of the night, "Mickey's Once Upon a Christmastime Parade"! 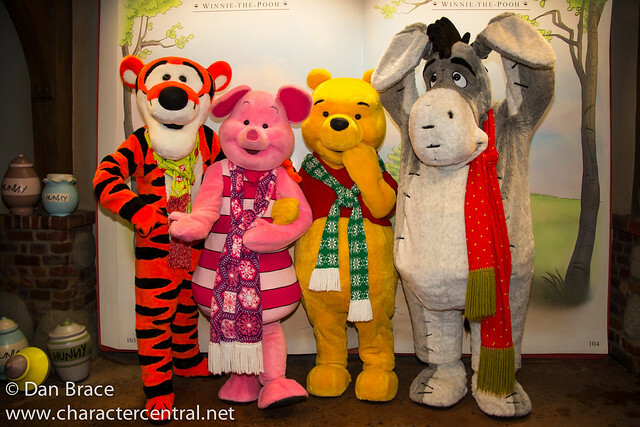 We were sad to see the loss of Christopher Robin, Rabbit, Kanga and Eeyore this year, along with Scrooge and Horace Horsecollar. 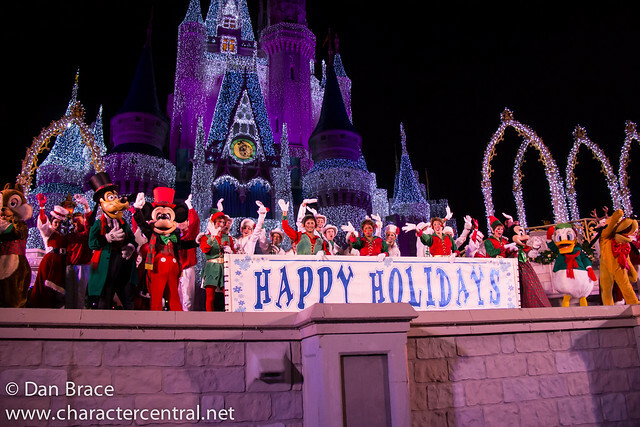 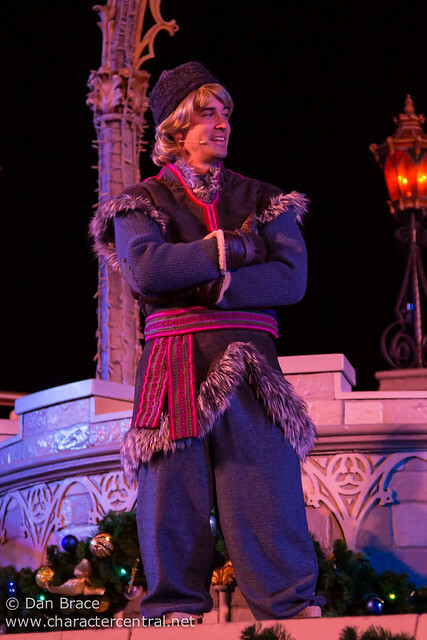 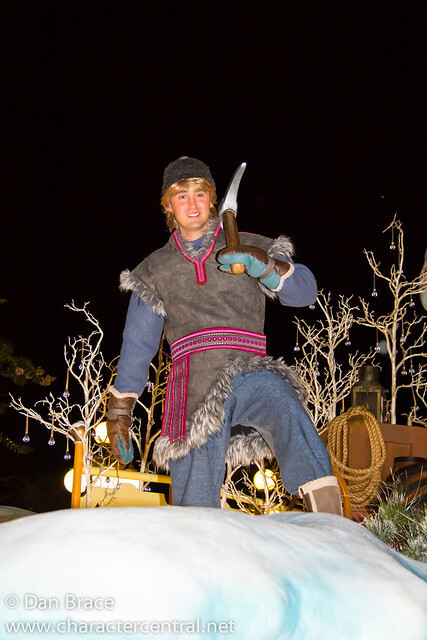 Of course, they added the four Frozen characters and Vanellope and Ralph, however we did also lose some elves and other performers. 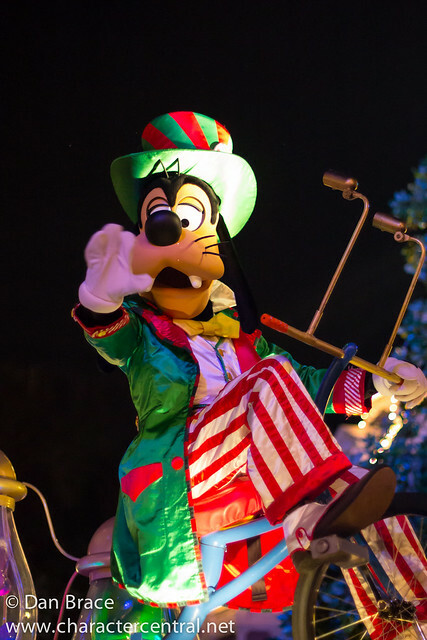 Anyway, between the three parties, we watched the parade four times (which is good going considering it poured with rain the first night). 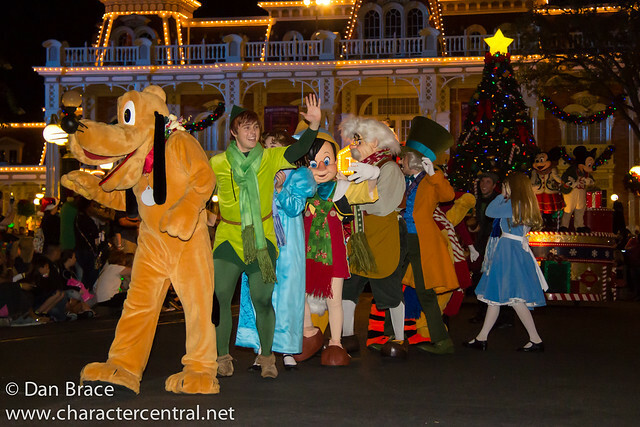 Here are some of my pictures from across all three nights. 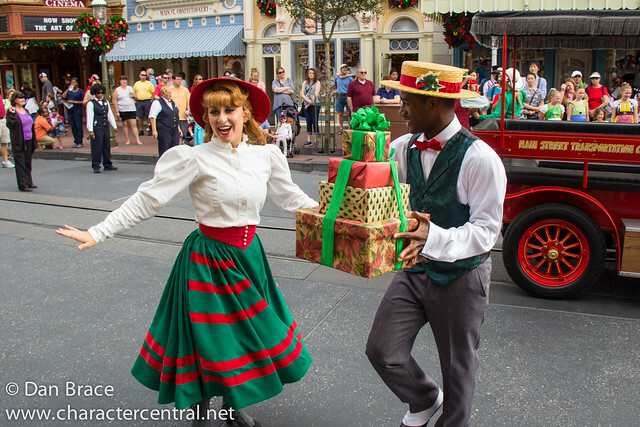 All in all we had an awesome time celebrating the Christmas season at the Magic Kingdom, and we are lucky that we got to go to three parties. 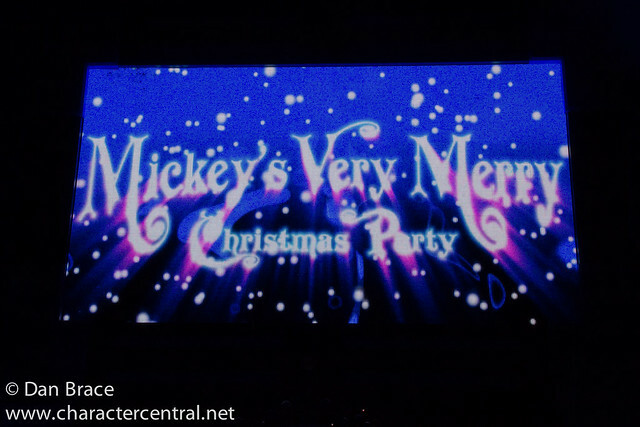 Finally, I leave you with a video that I took during the second party we attended. 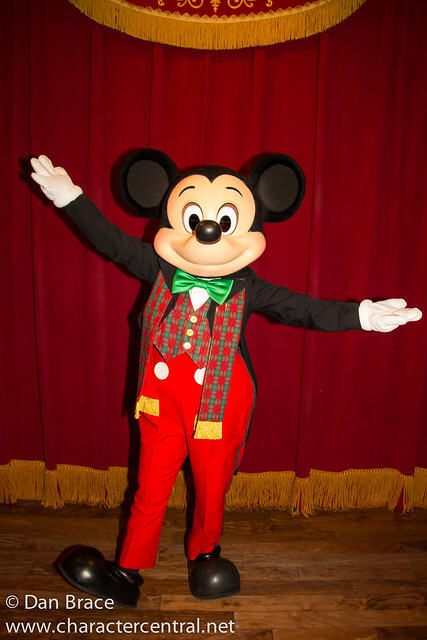 I asked Mickey if he could say a holiday message to all our friends, and this is what he came up with. 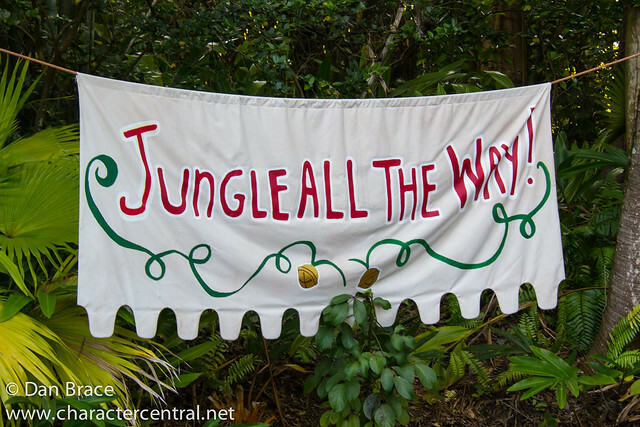 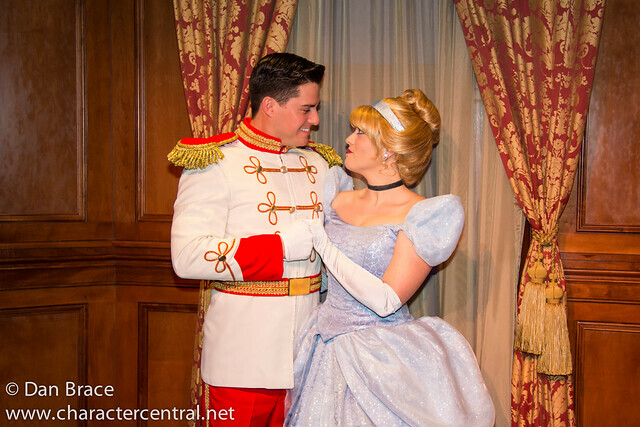 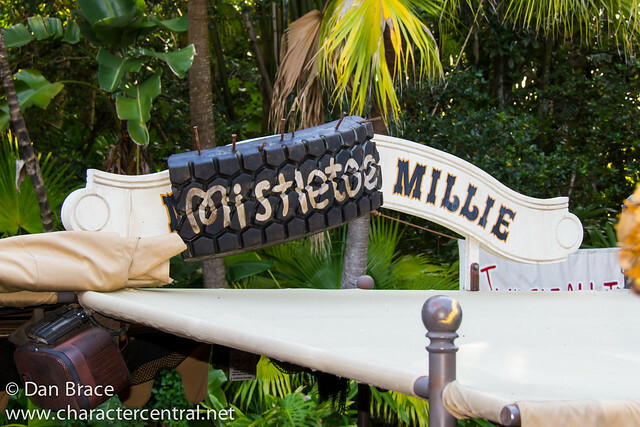 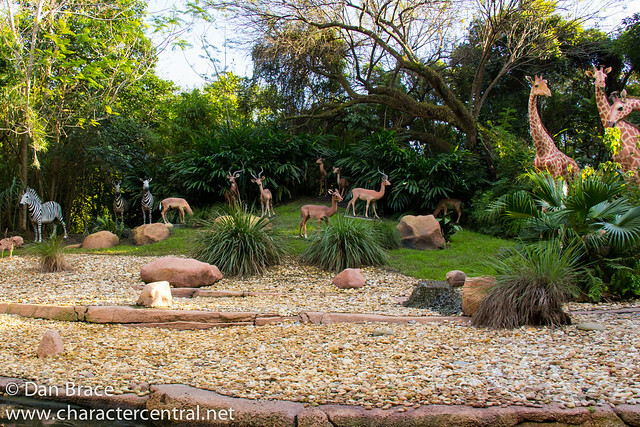 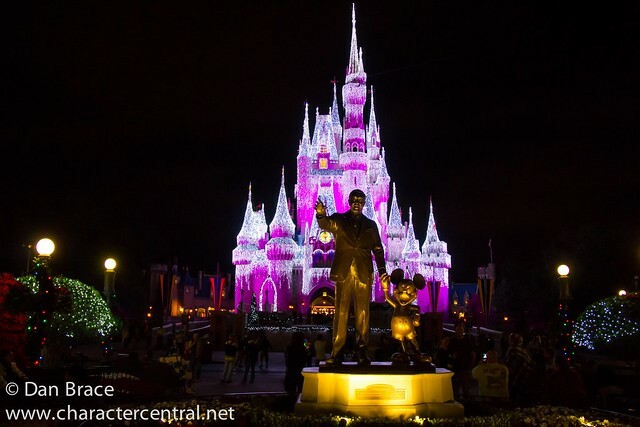 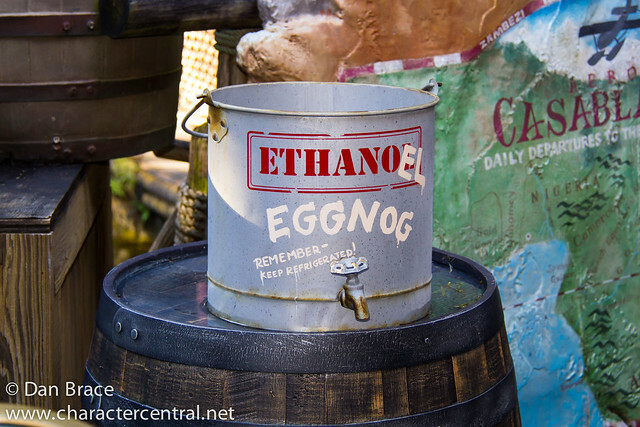 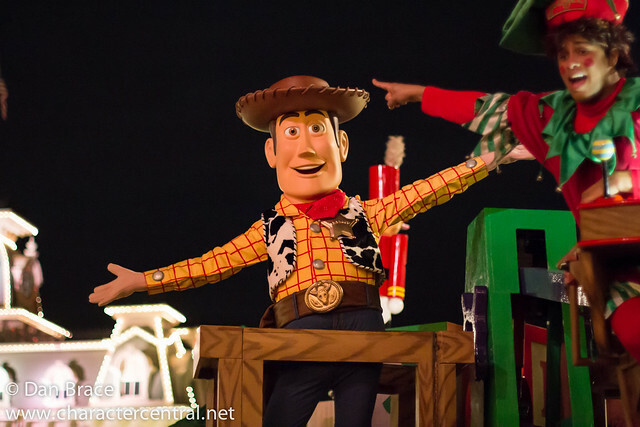 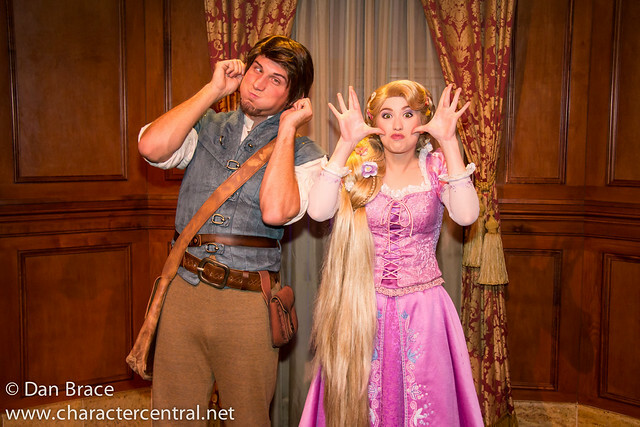 Look out next week for the next part of my Walt Disney World Trip Report here on the Character Central blog!